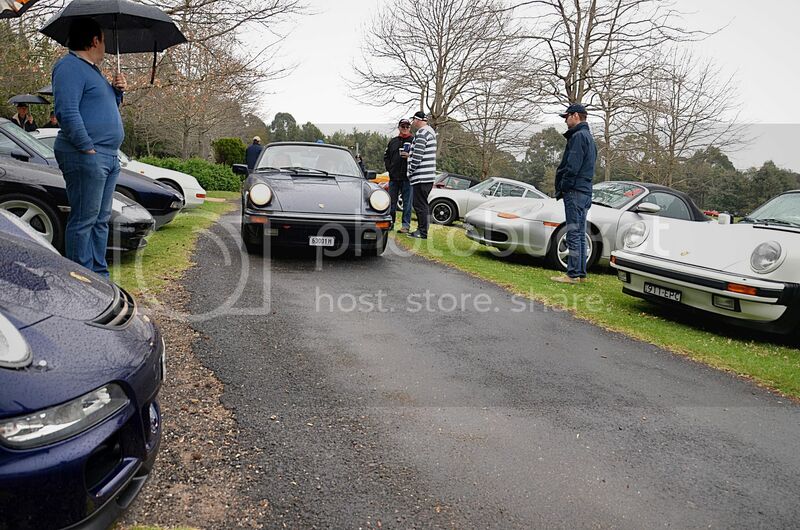 PCNSW: Early Bird Gets the Worm. 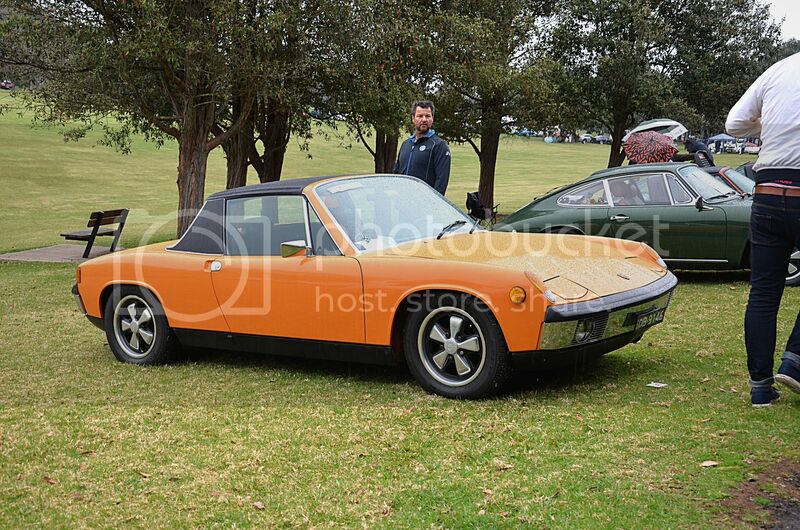 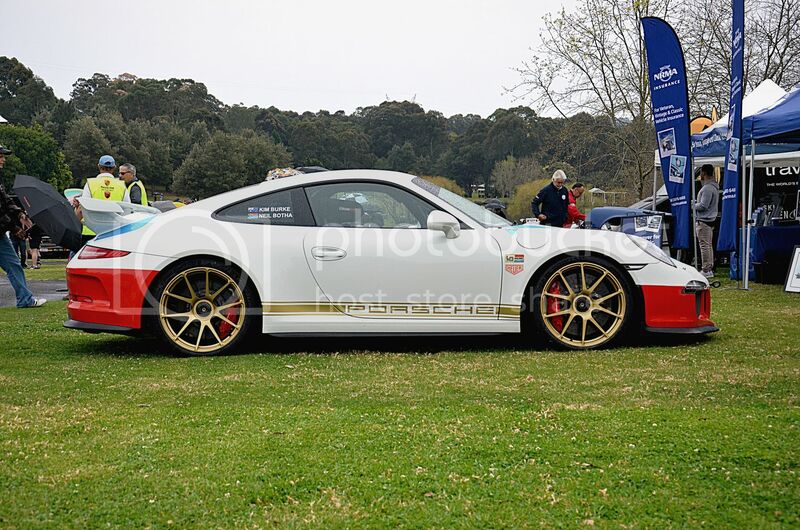 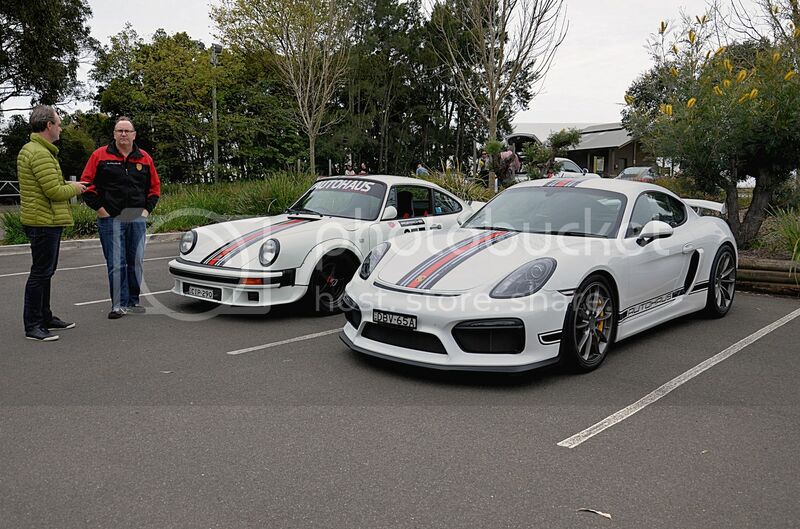 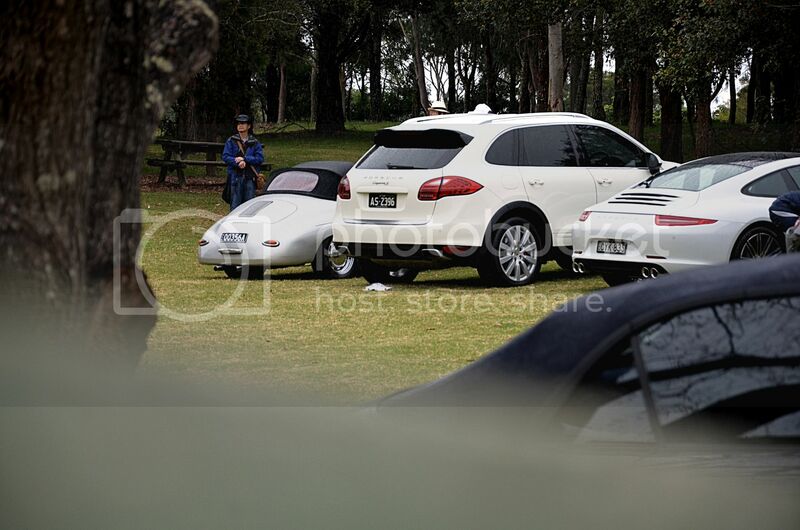 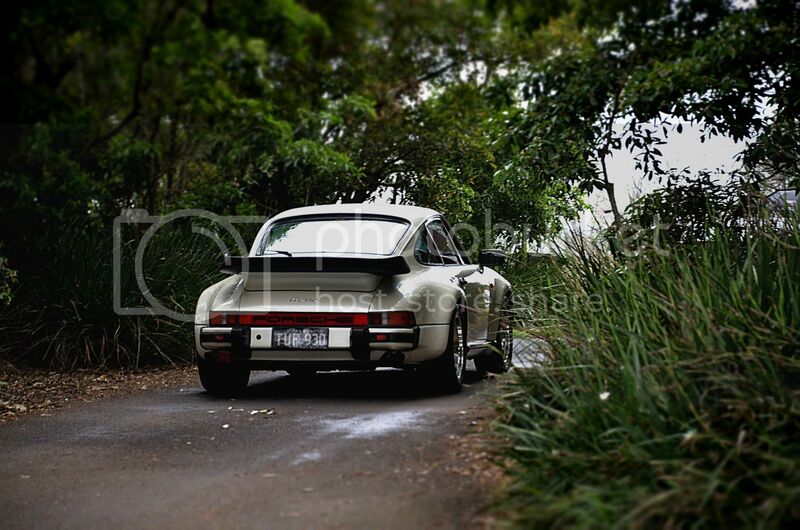 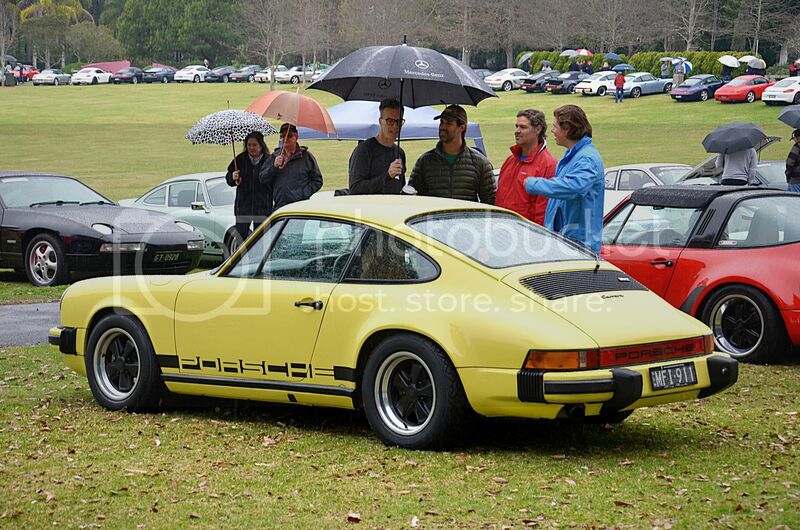 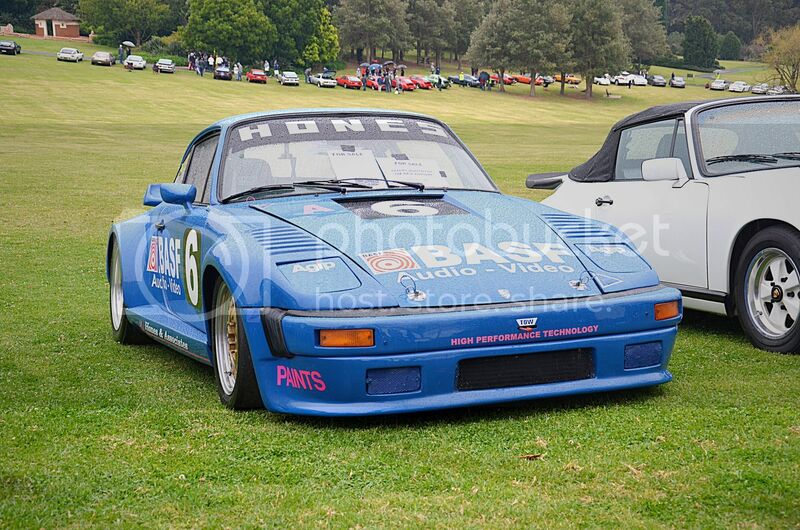 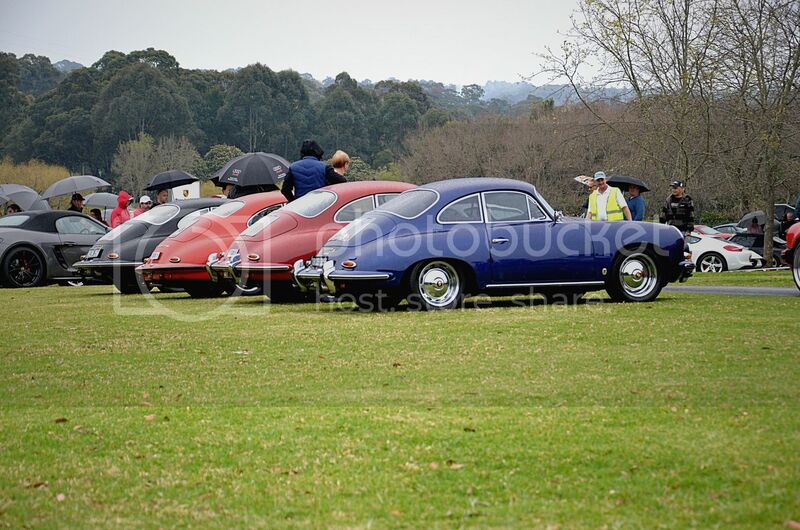 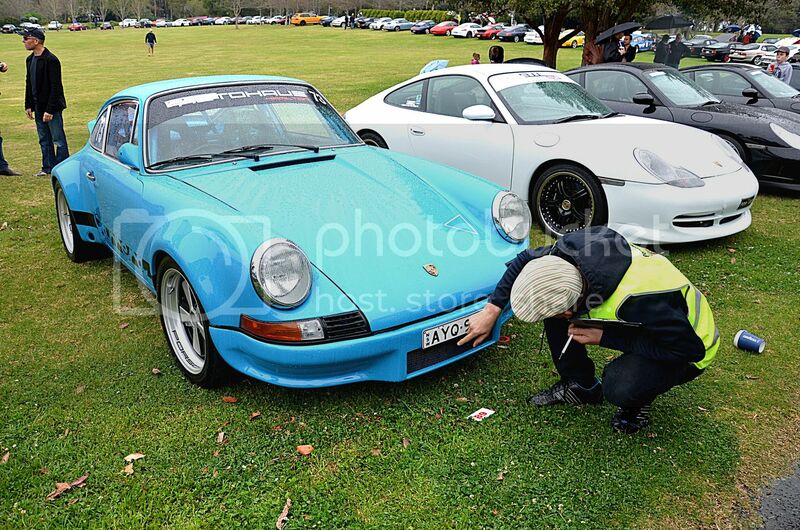 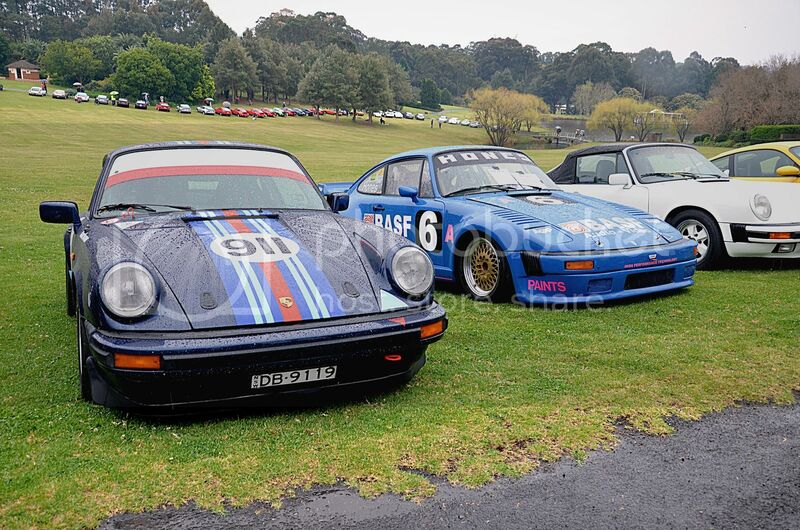 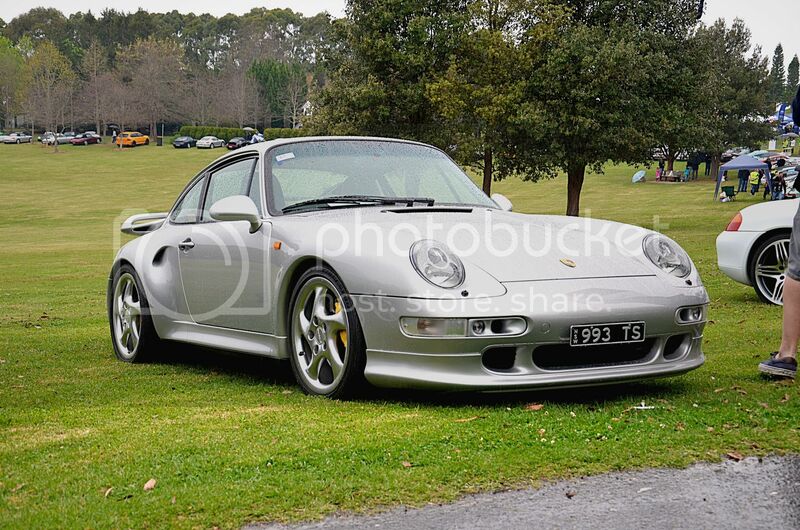 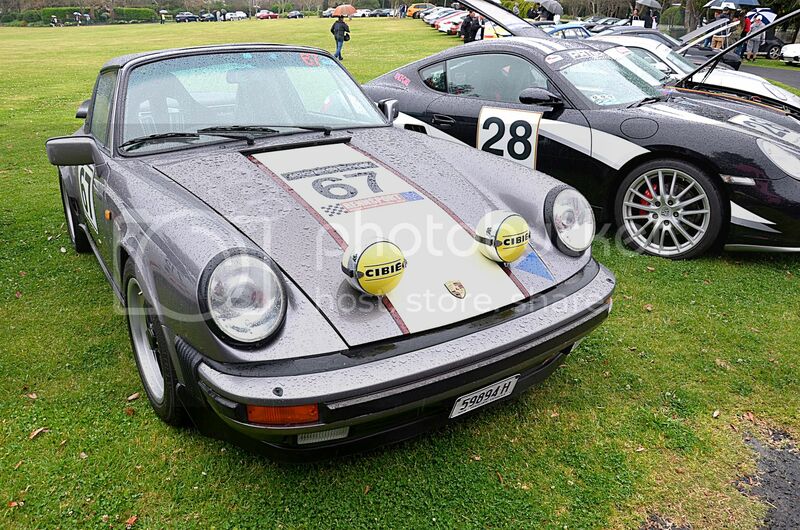 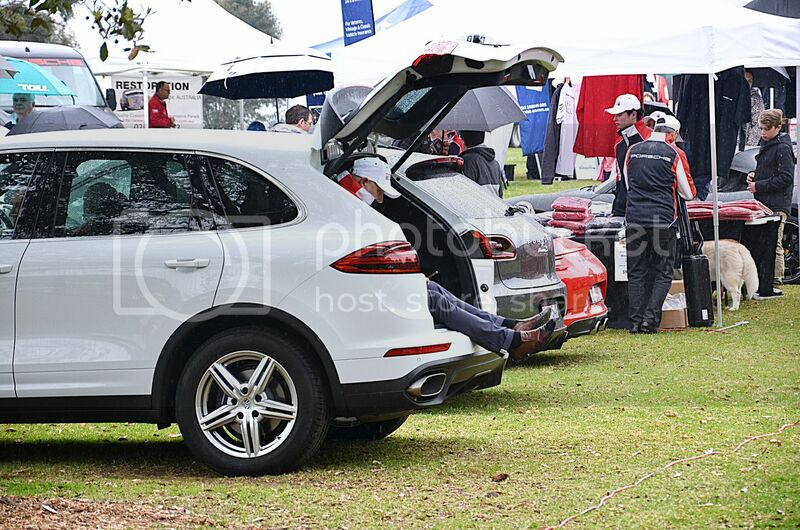 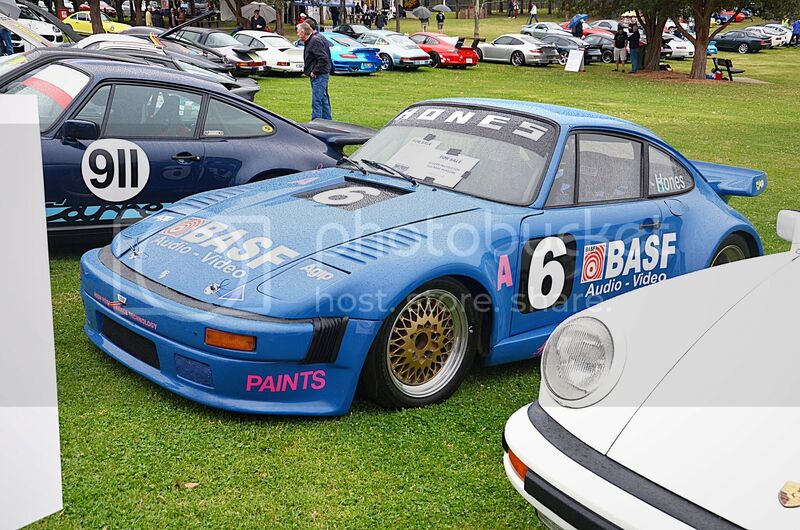 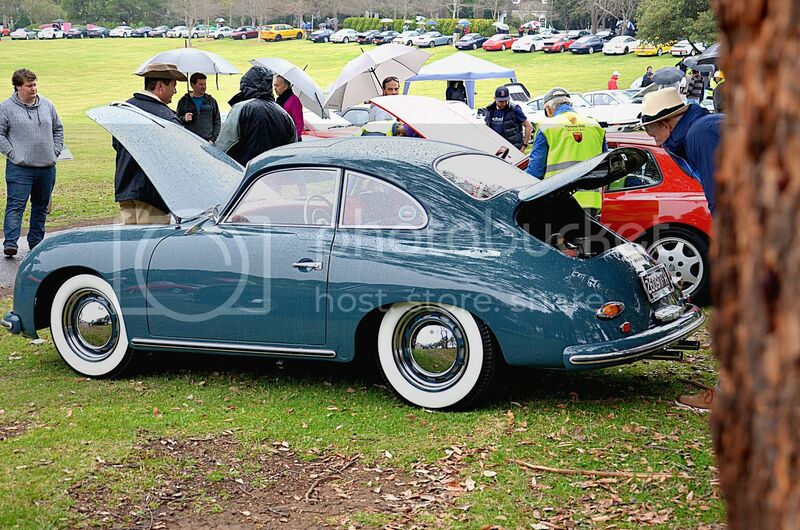 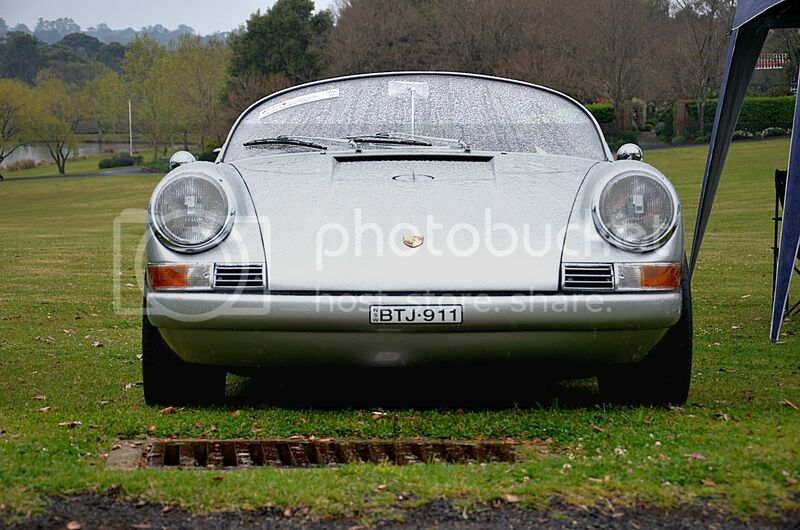 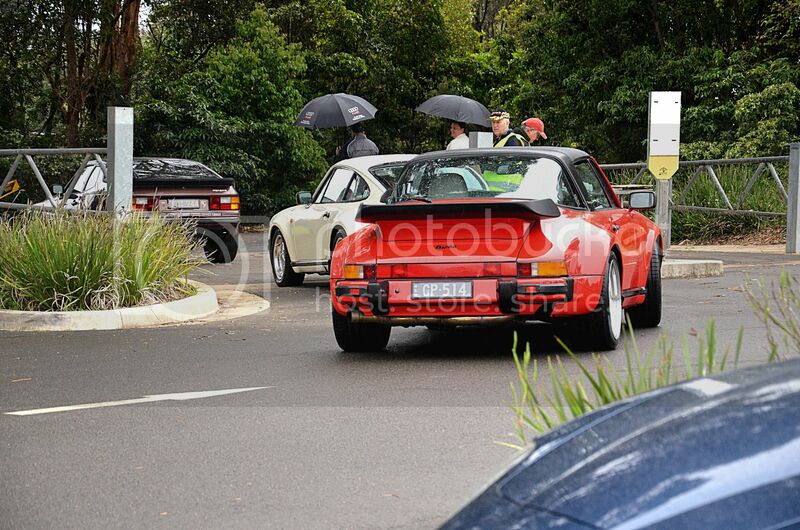 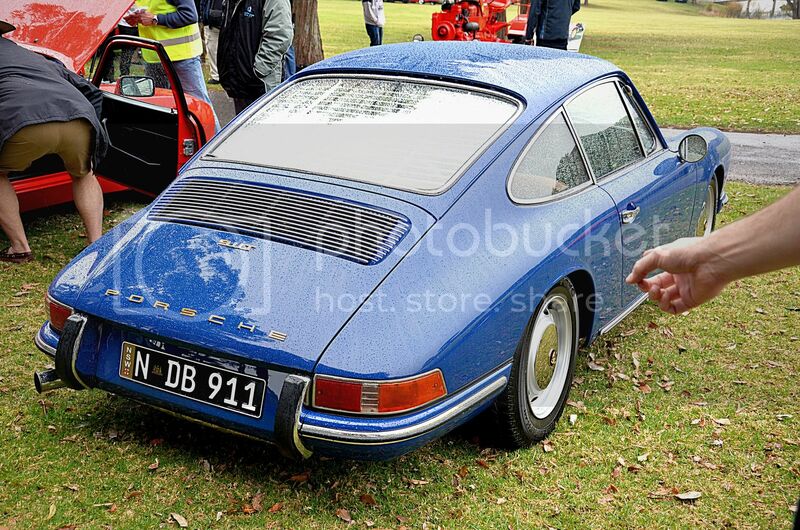 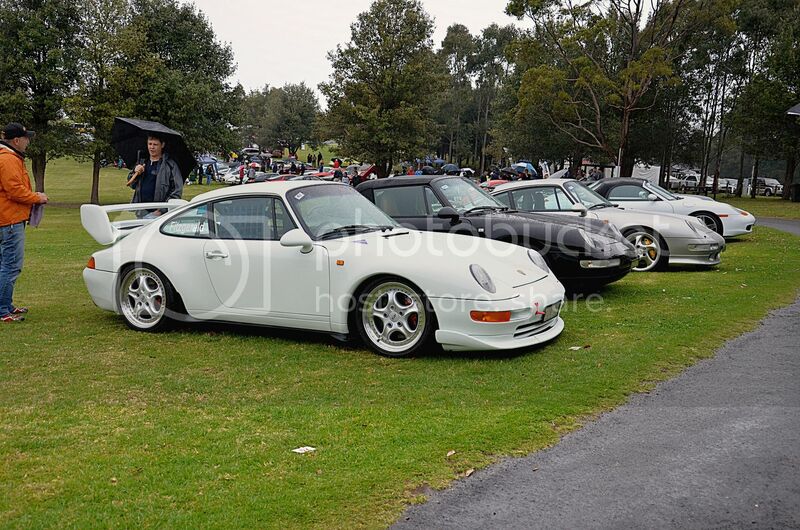 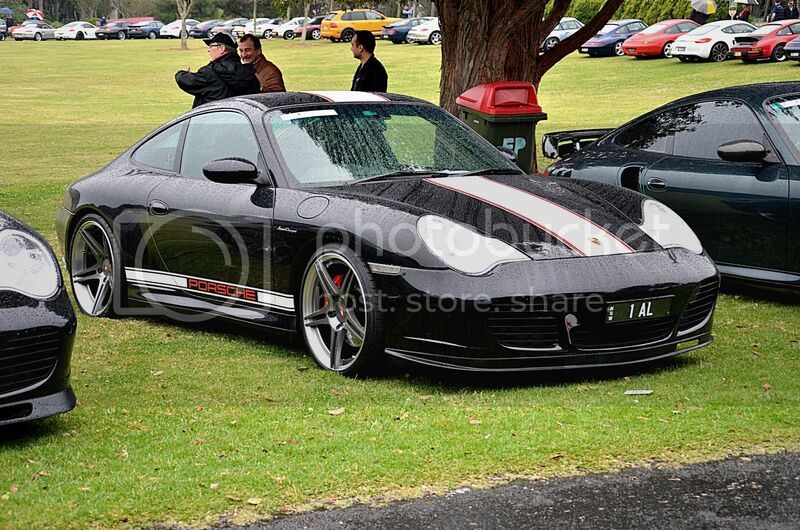 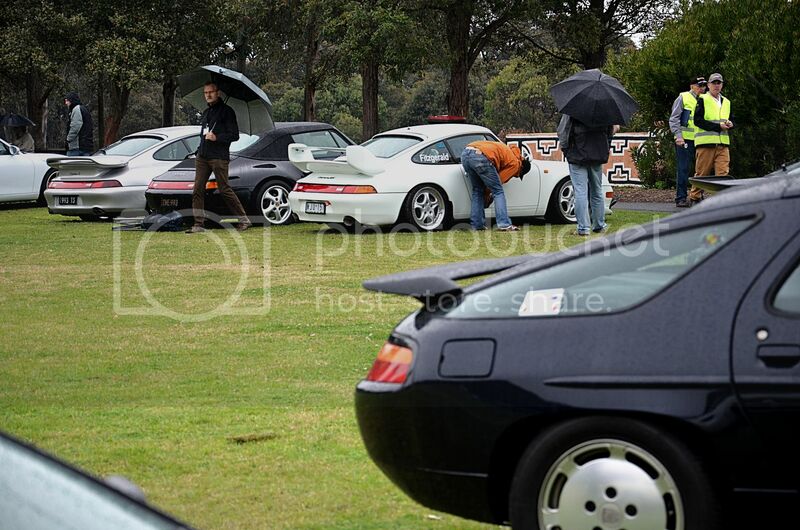 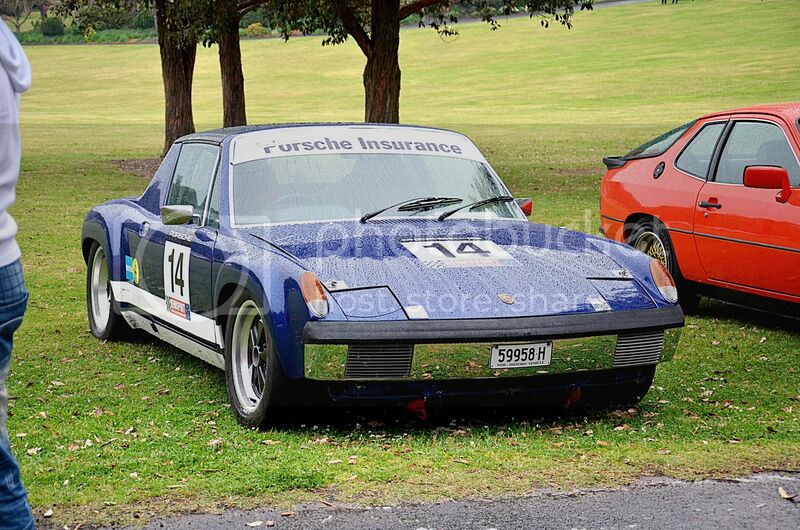 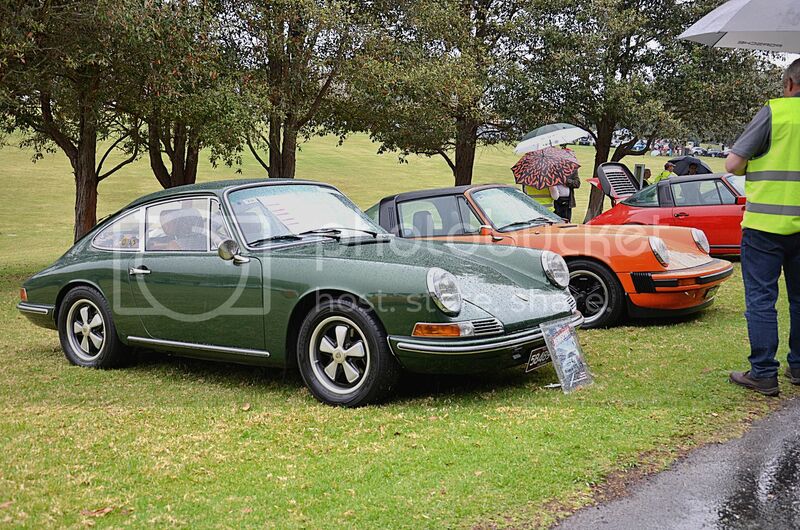 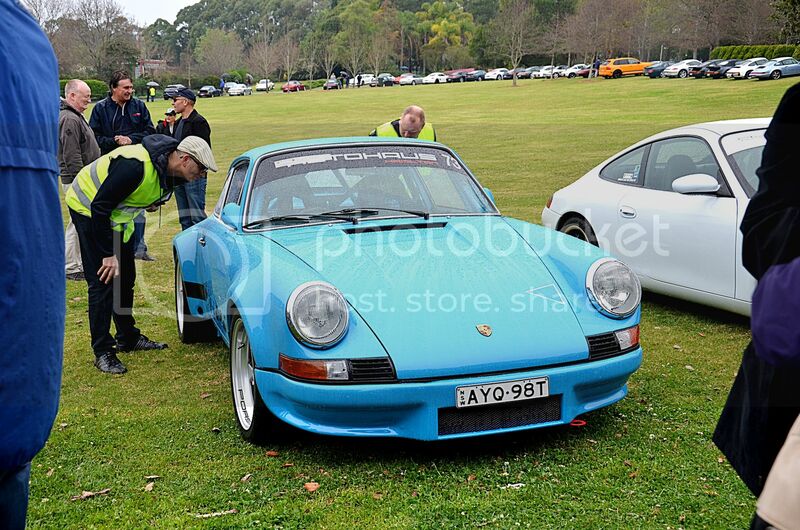 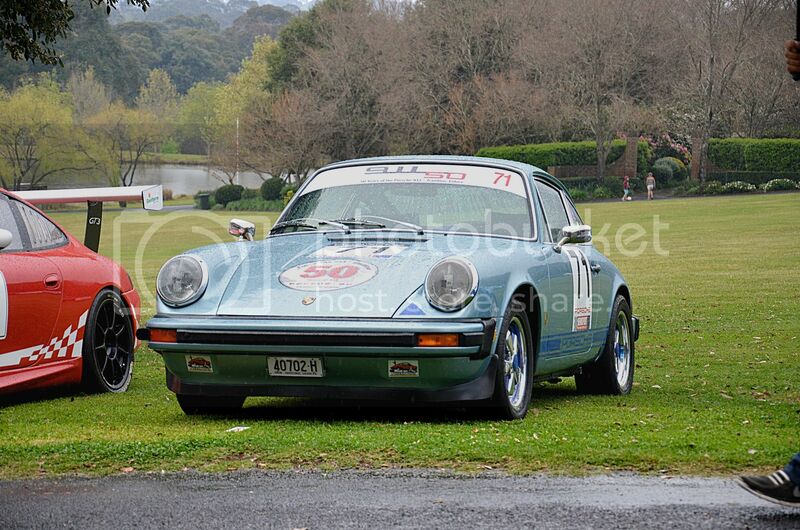 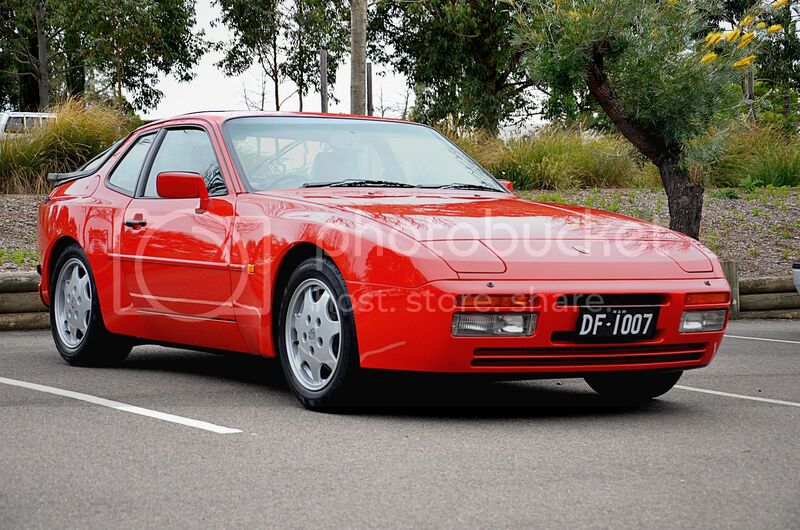 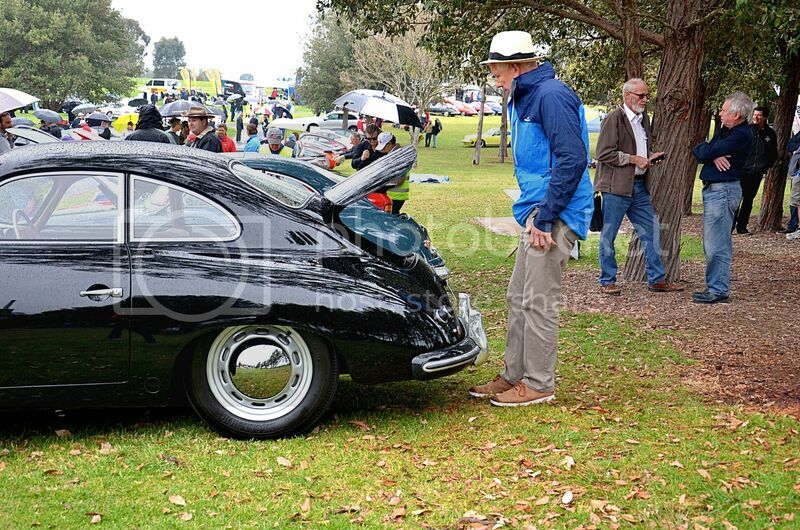 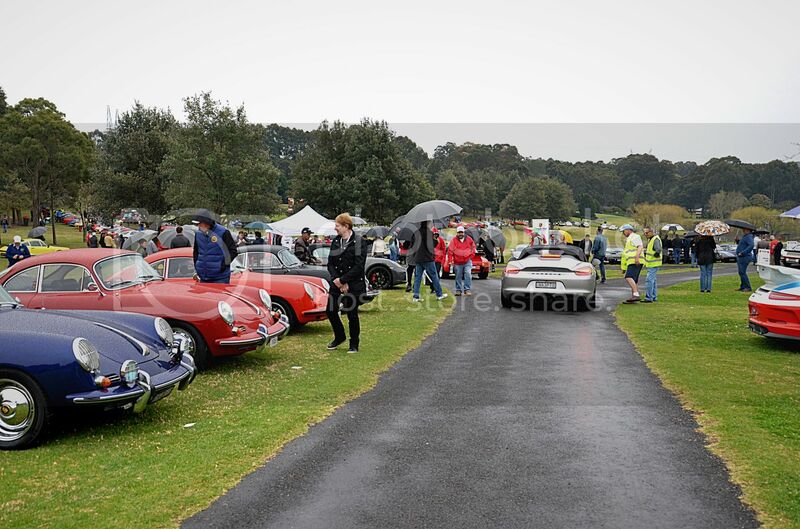 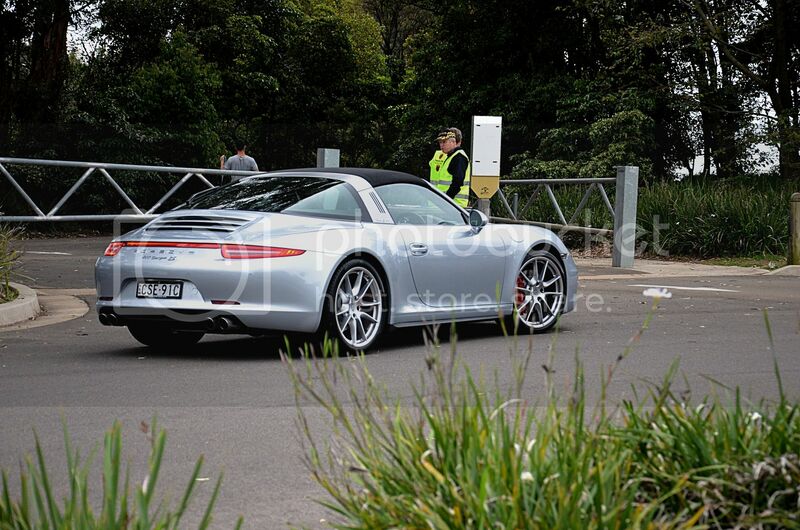 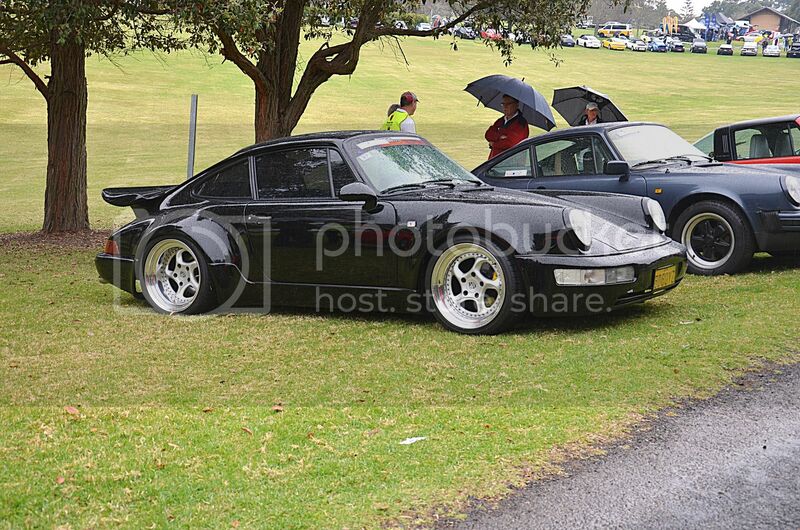 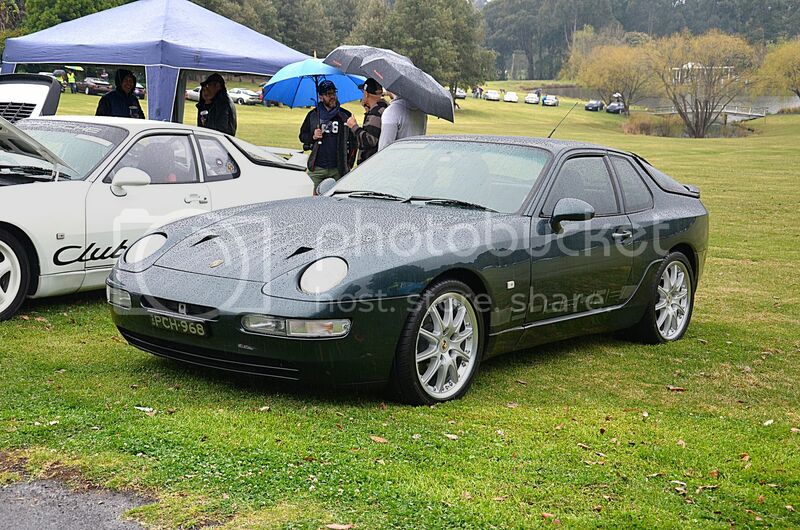 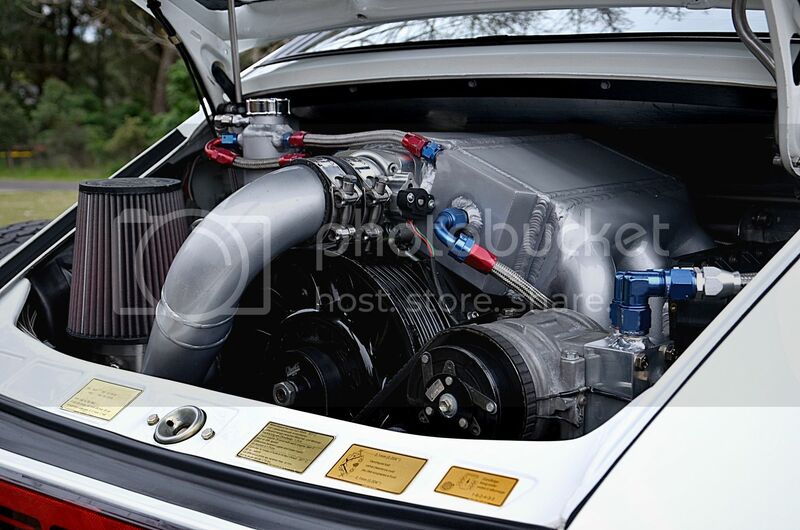 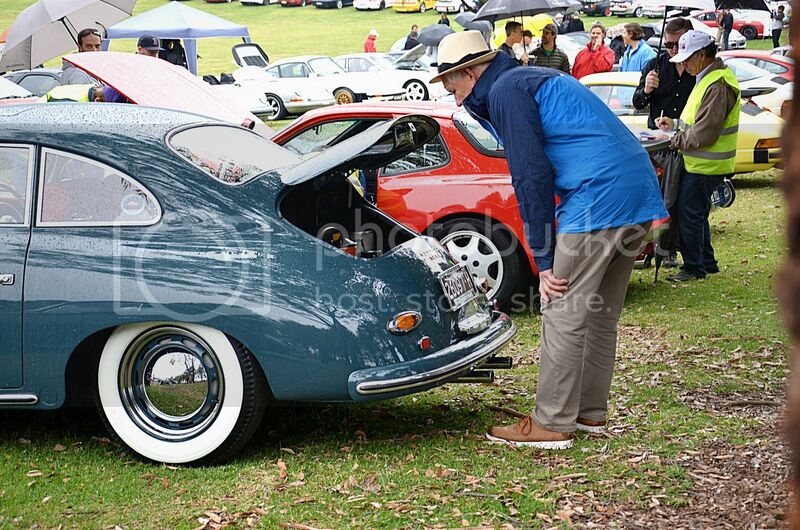 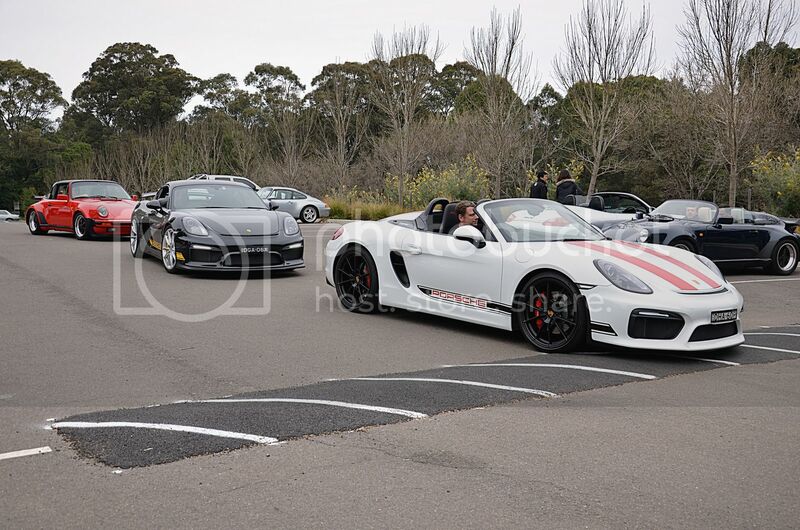 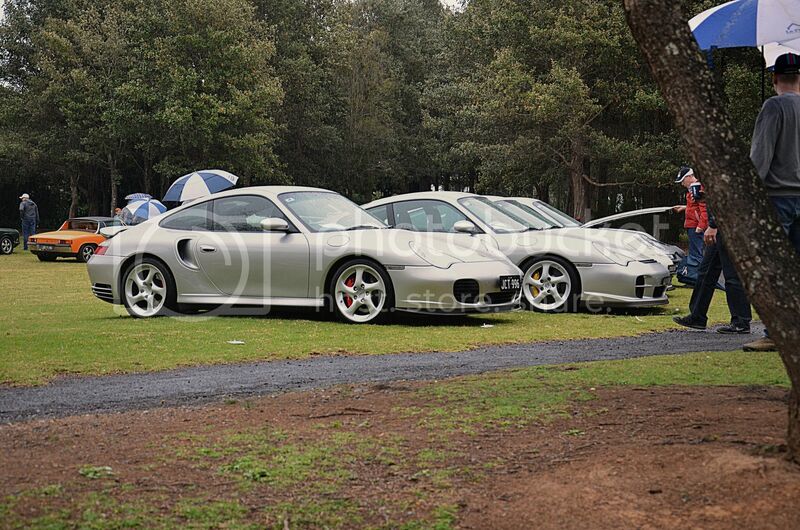 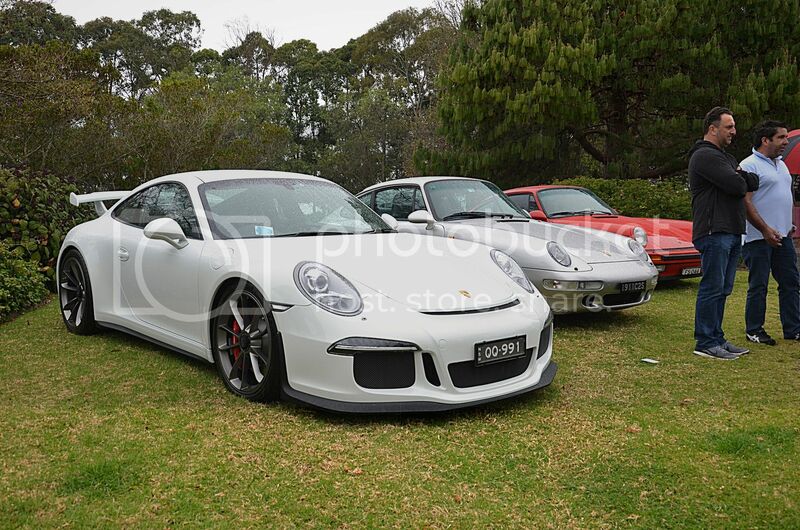 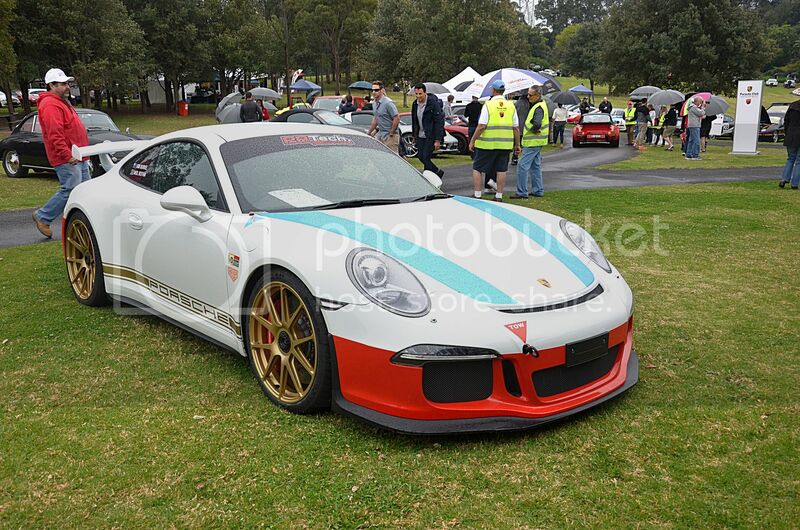 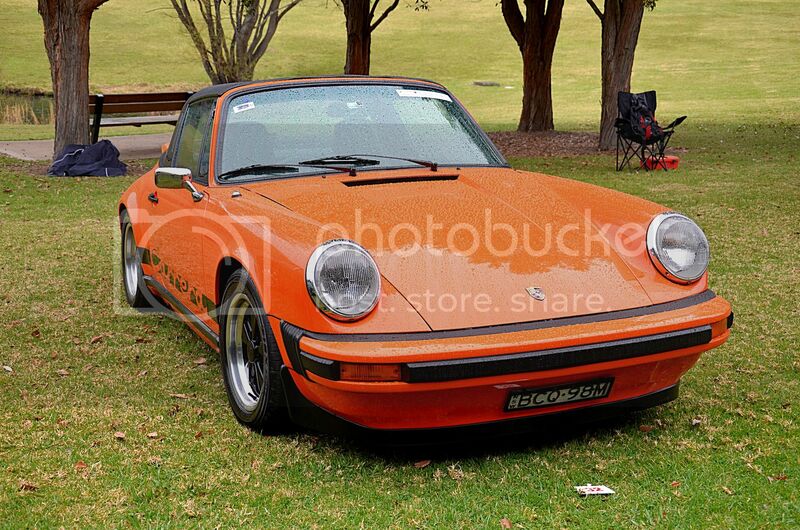 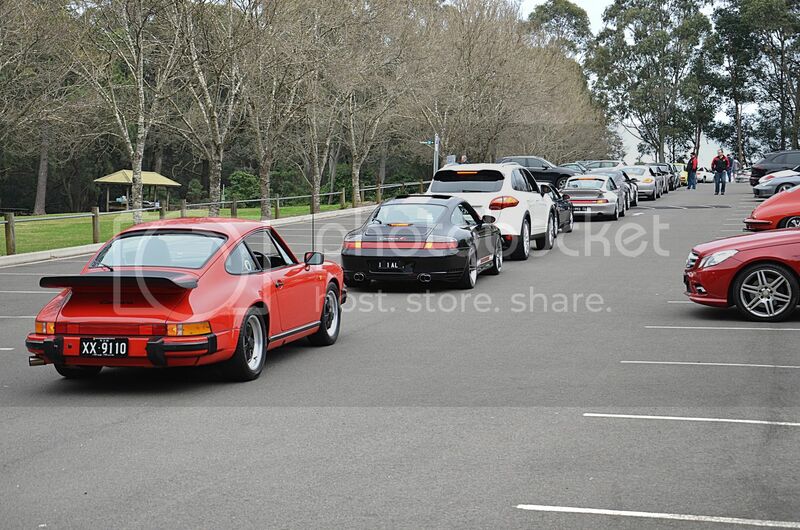 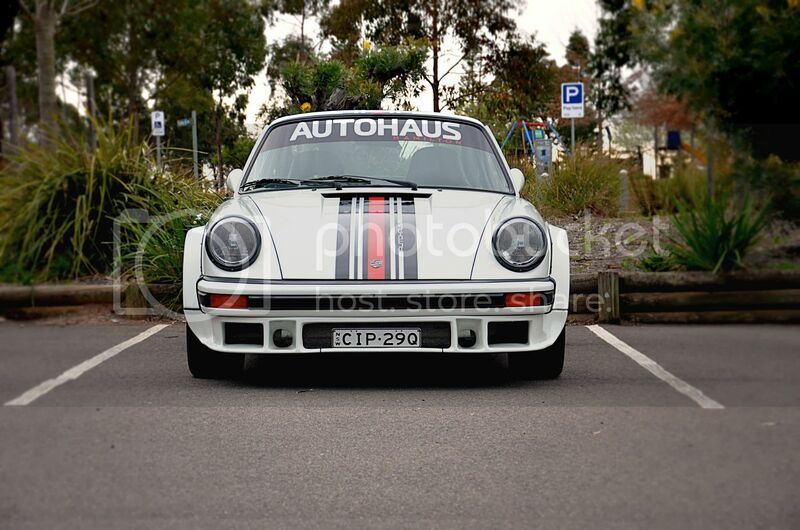 The Porsche Club of NSW’s annual Concourse d’Elegance was held last weekend at Fagan Park in Dural. 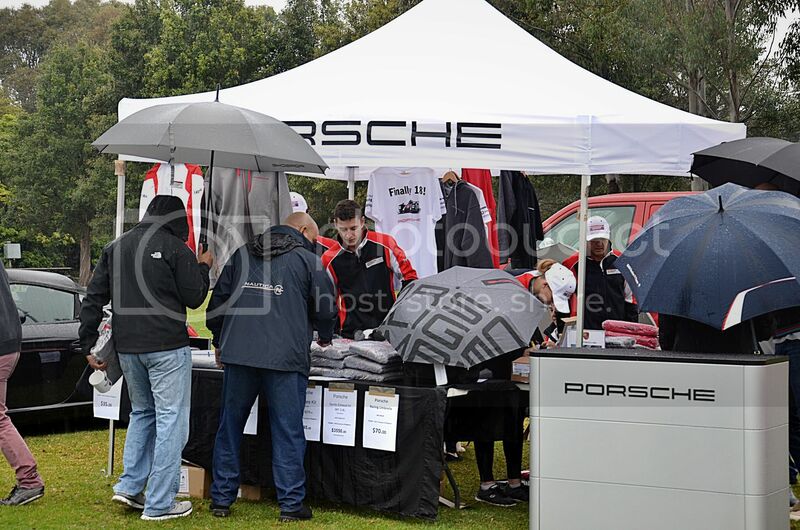 Unfortunately for the 185 entries the forecast was cloudy with a chance of rain, but being a once a year event no amount of rain was going to wash this event out. 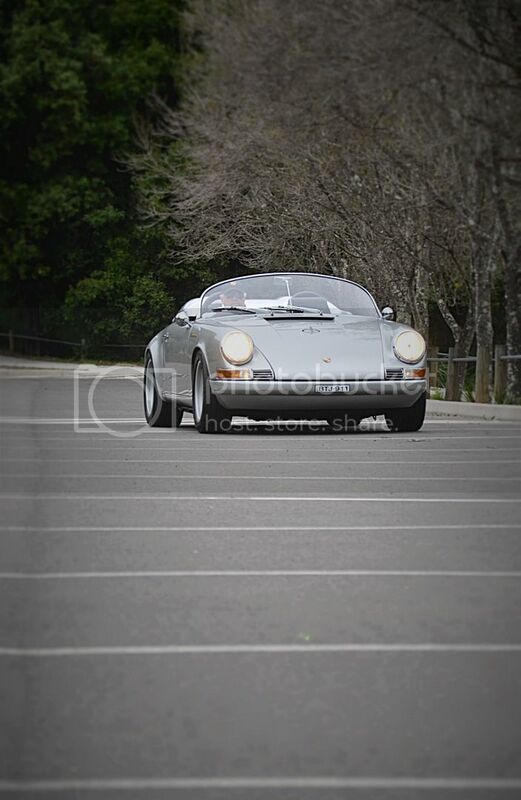 We arrived nice and early, at 6:30am to be precise. 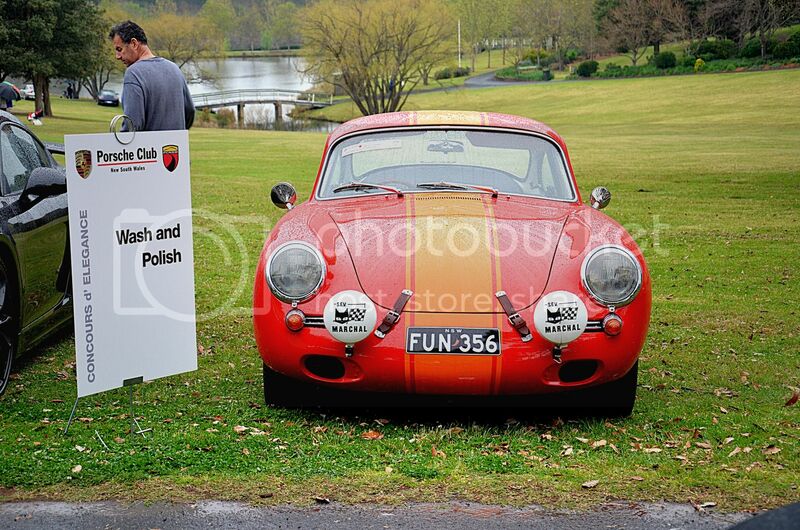 We wanted to get there a tad early and watch the Porsches roll in! 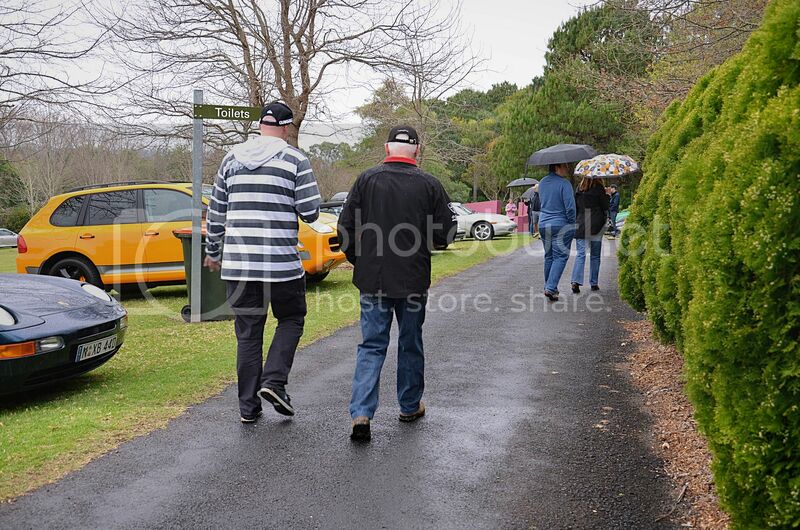 Our plan was executed perfectly with us arriving in the Group 4 well before the masses. 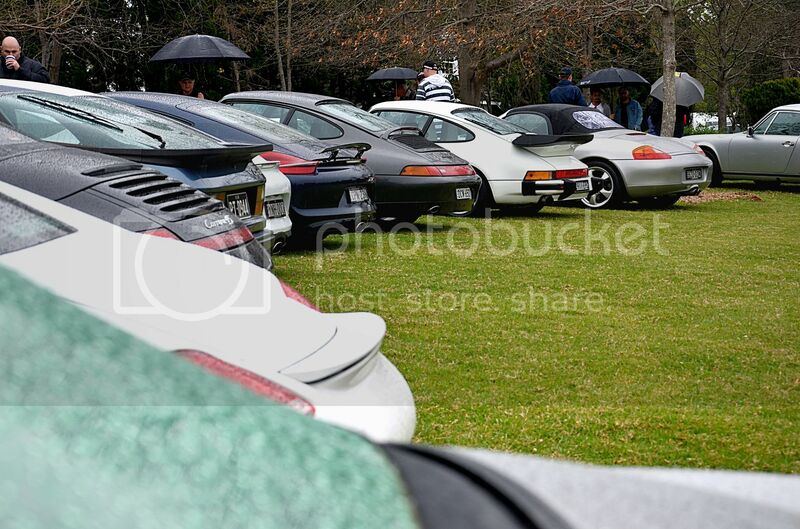 The heavens were kind enough to not open up and the rain held off until about 7:30am, this is when not only the rain turned up… but also the plethora of Porsches, new and old! 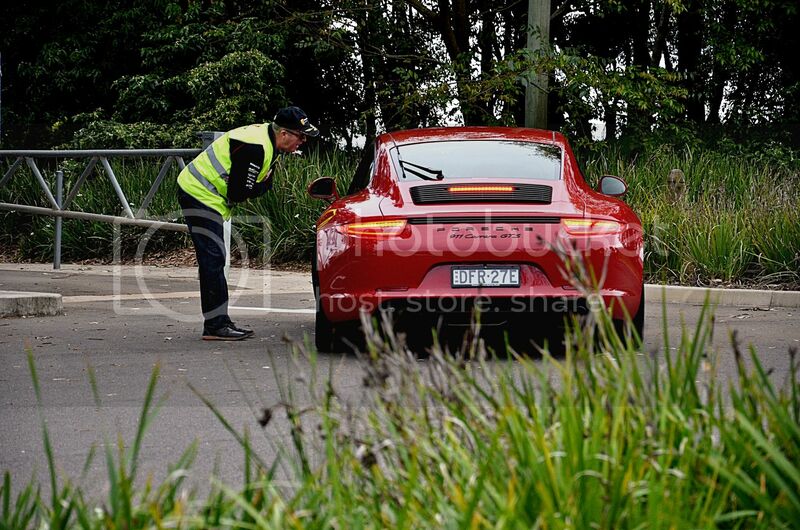 PCNSW: Raise the Gates – Let them IN! 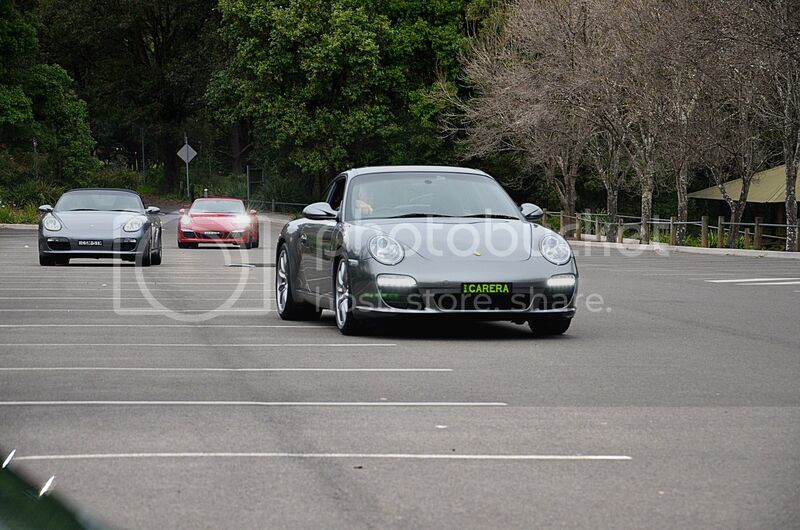 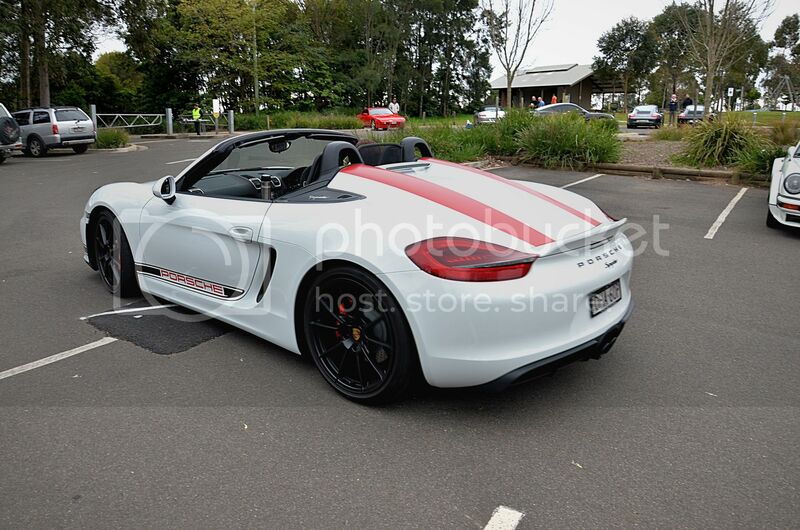 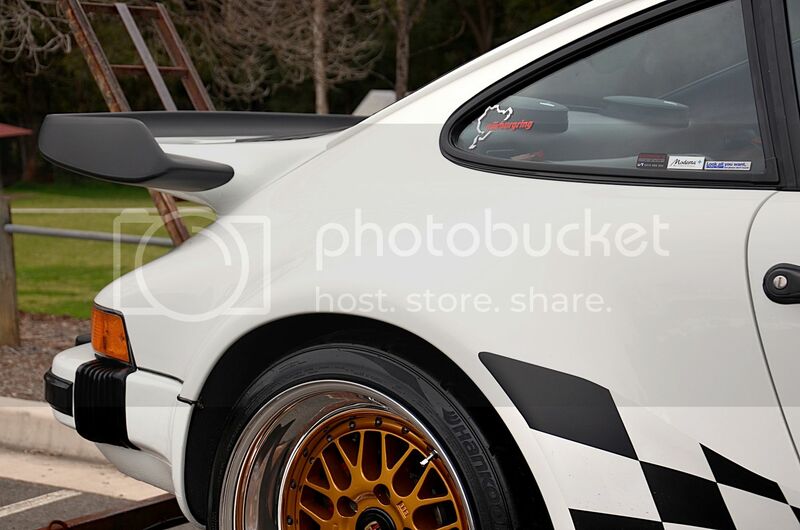 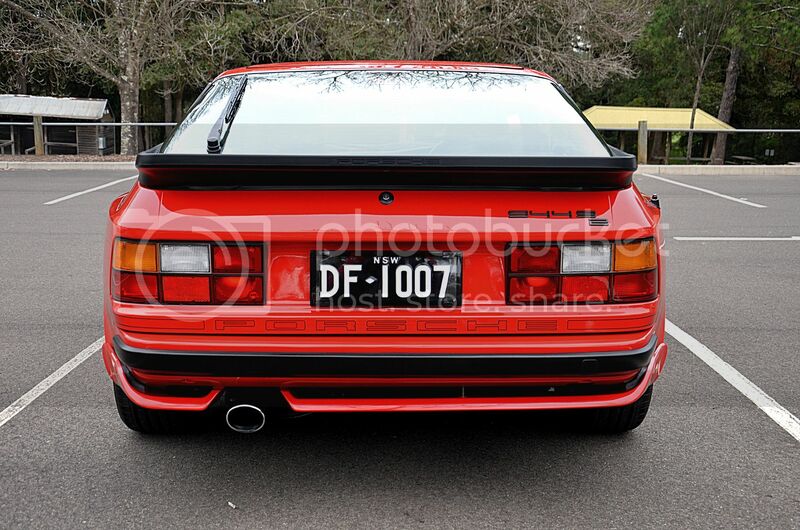 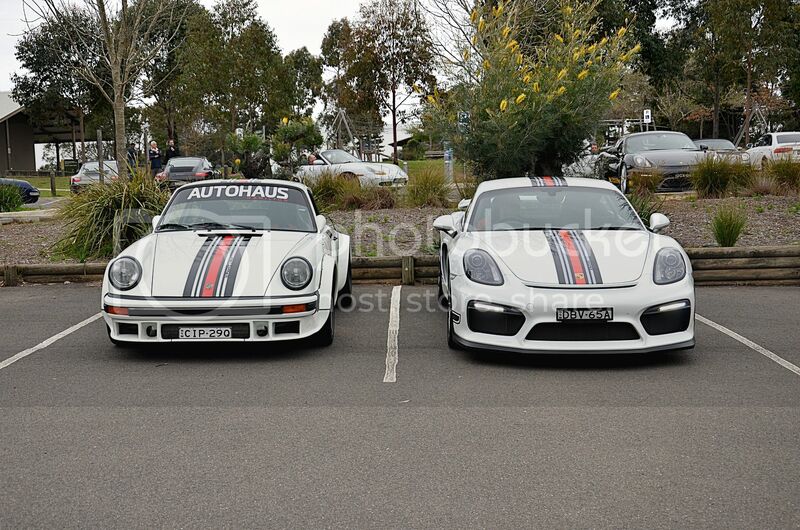 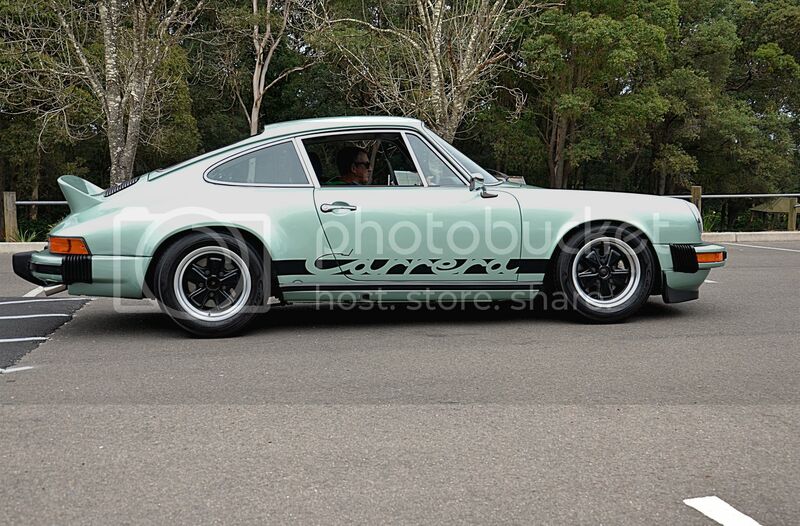 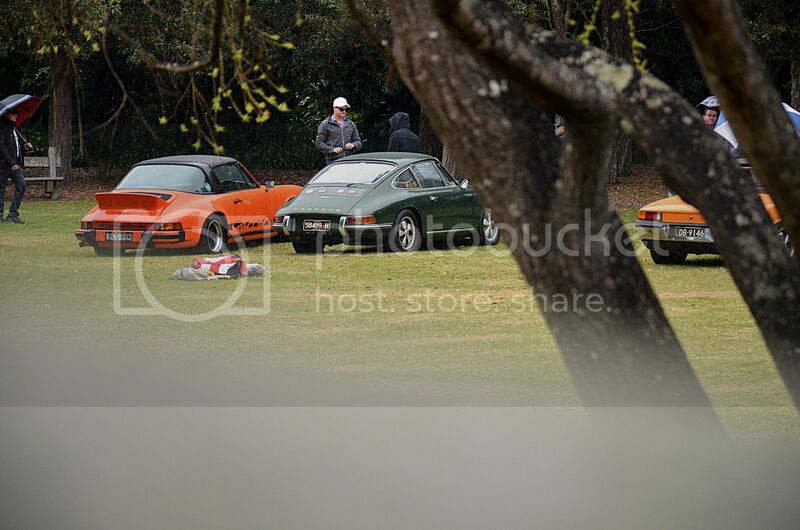 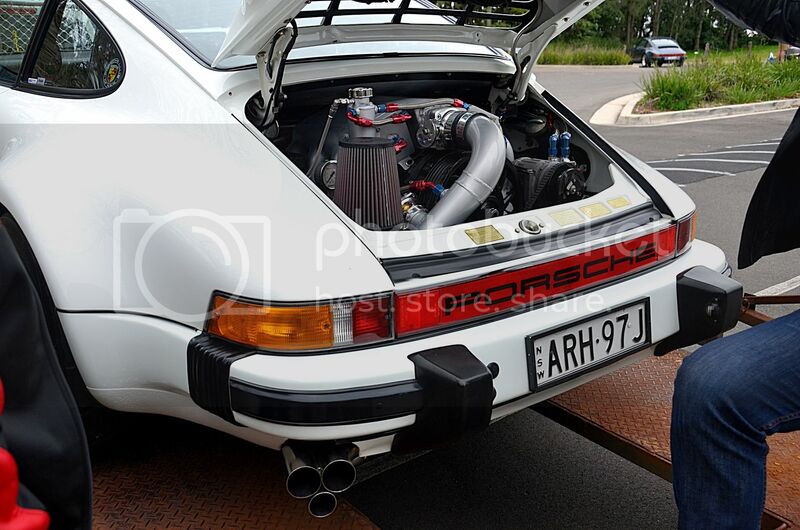 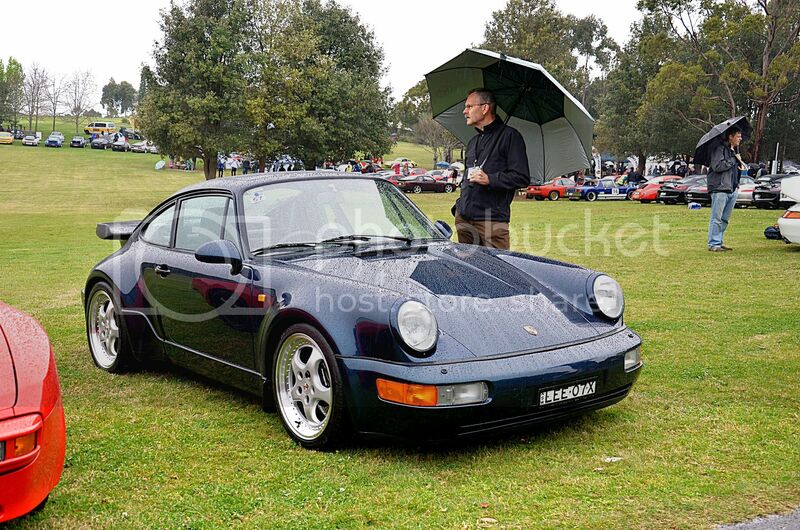 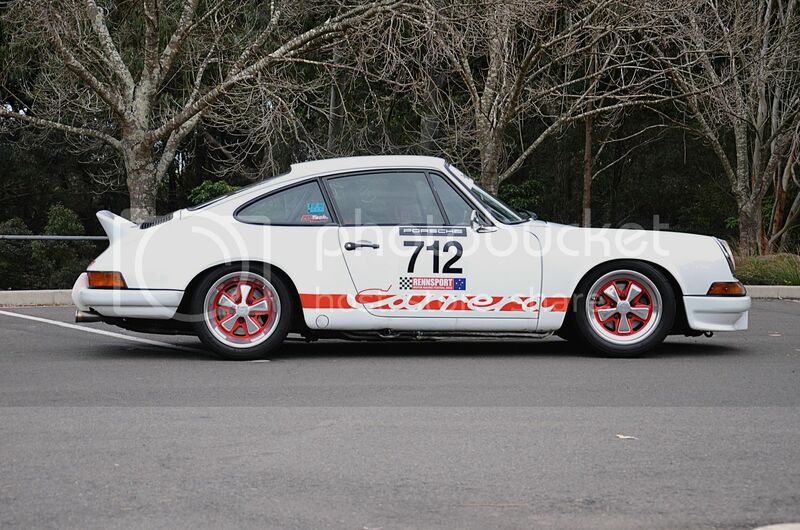 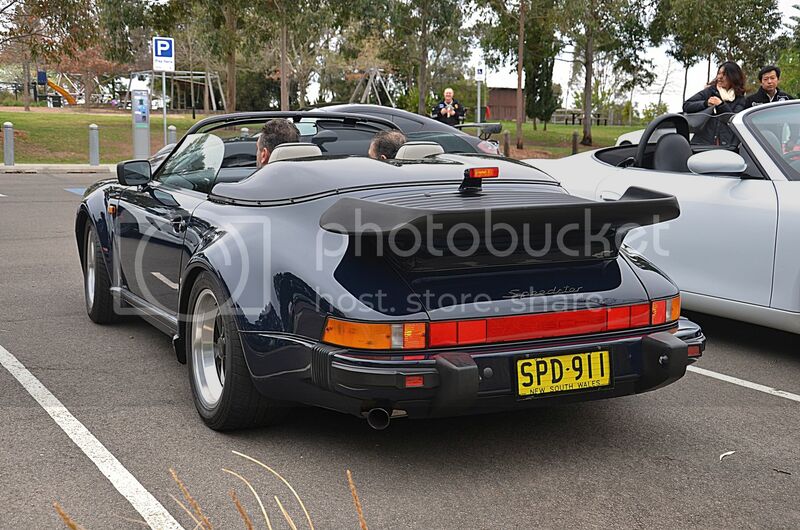 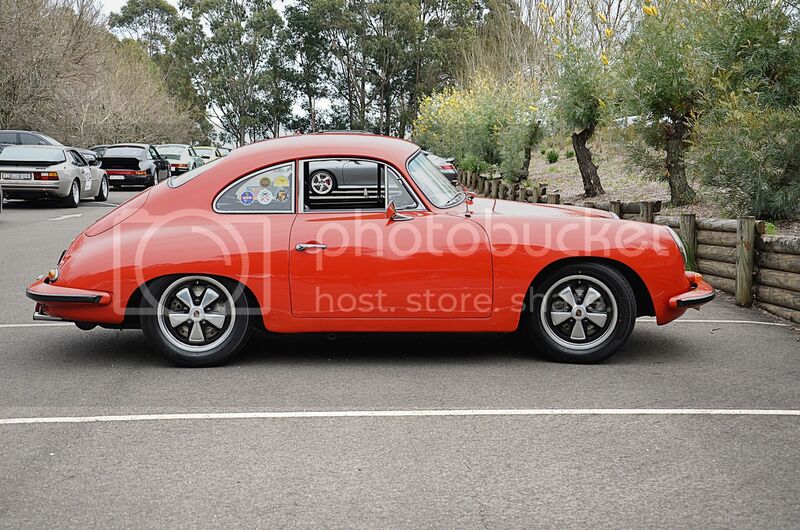 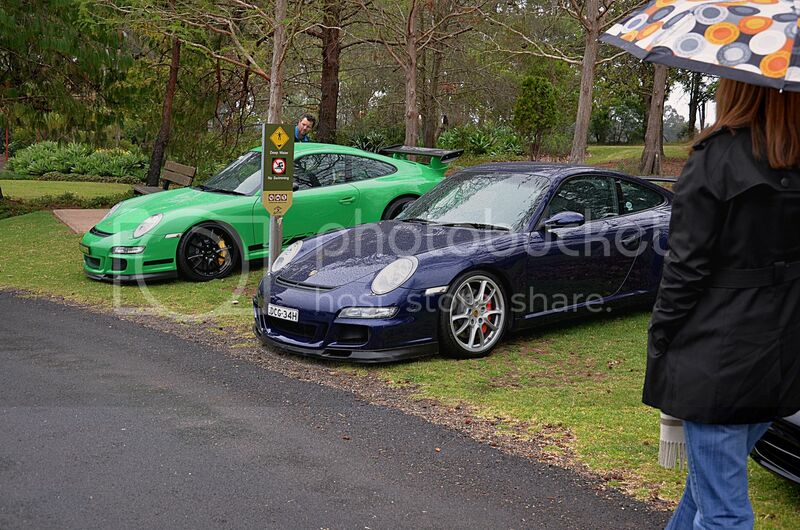 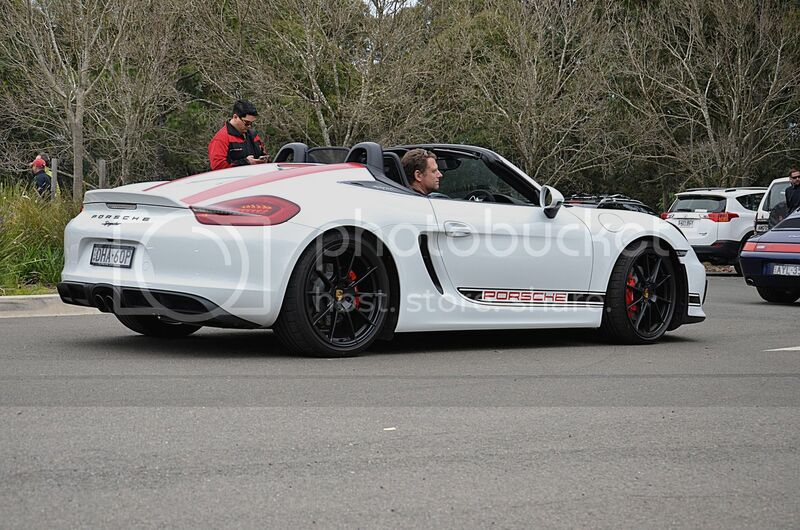 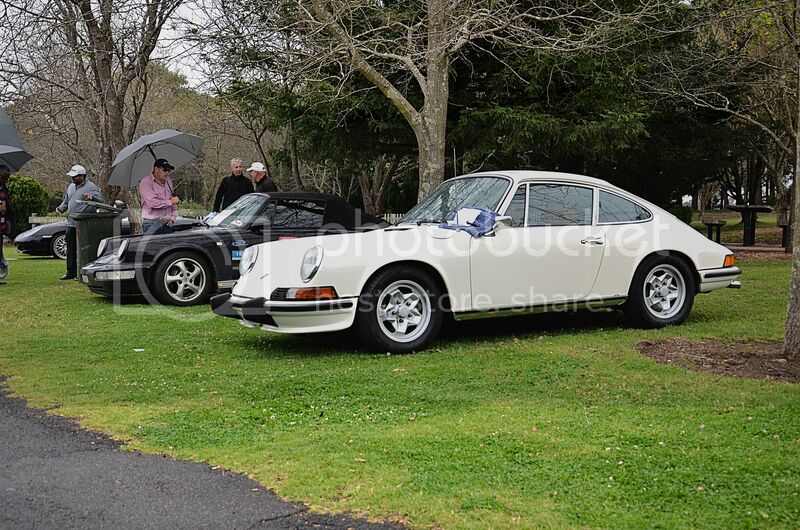 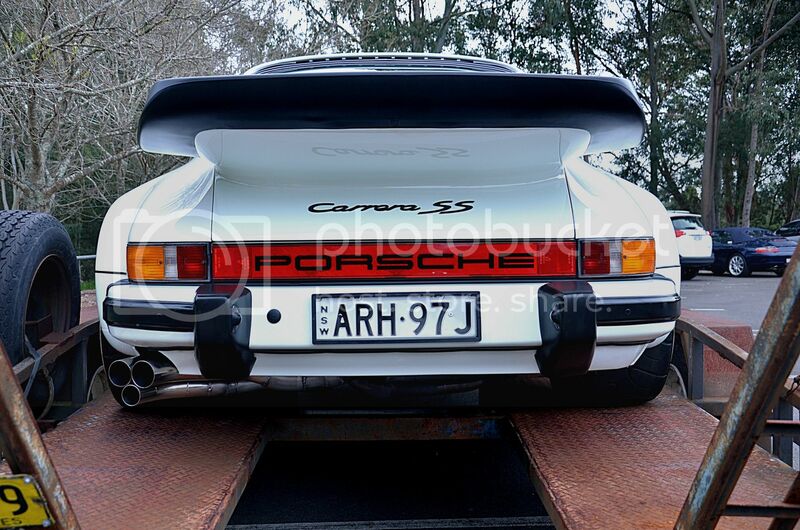 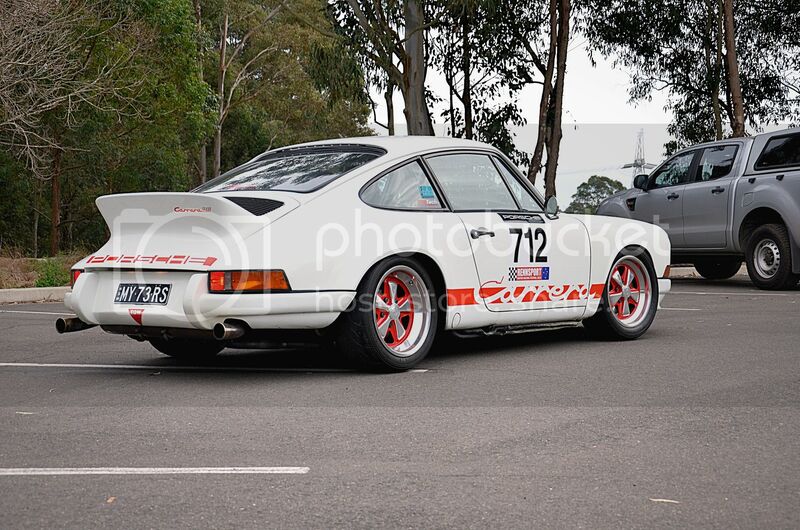 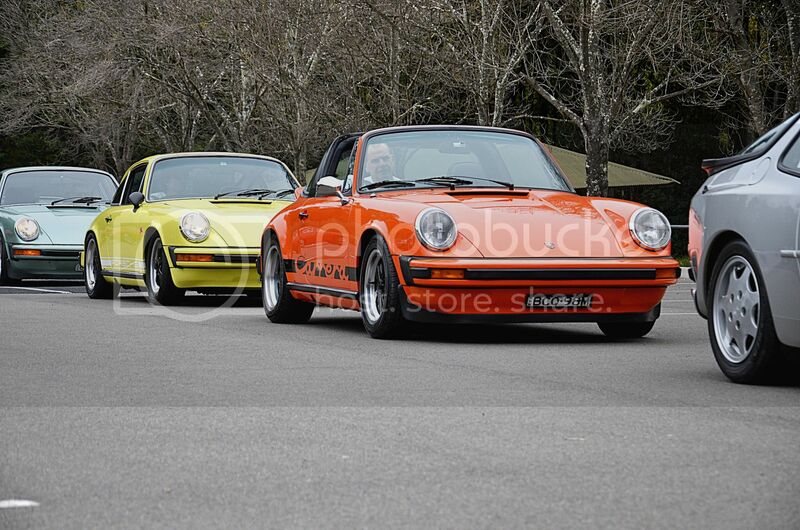 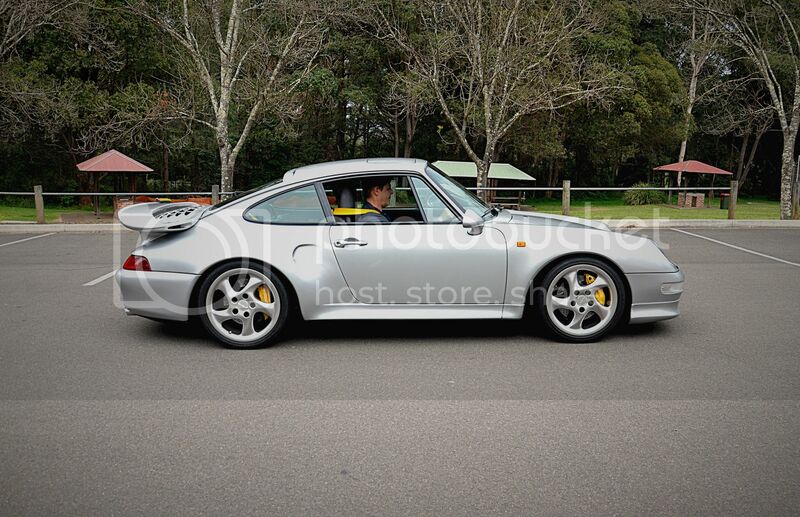 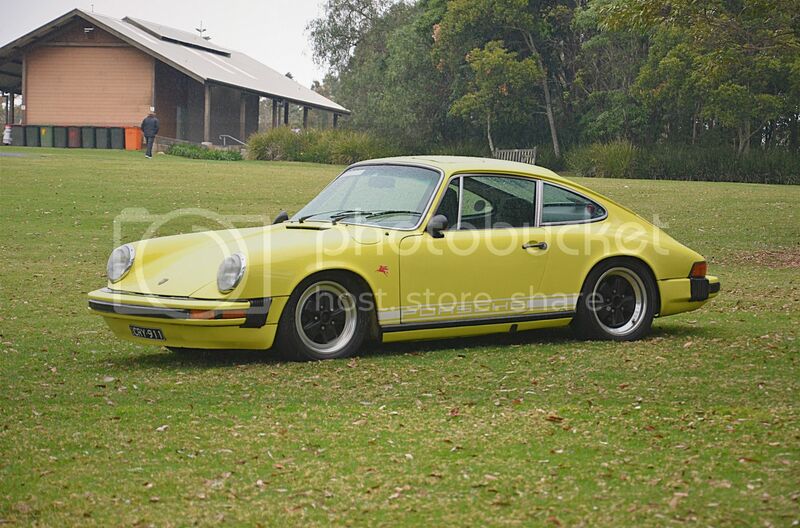 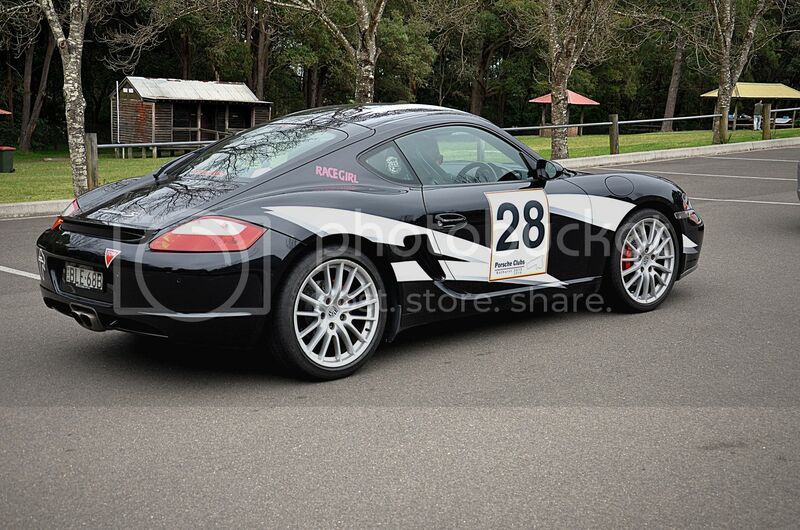 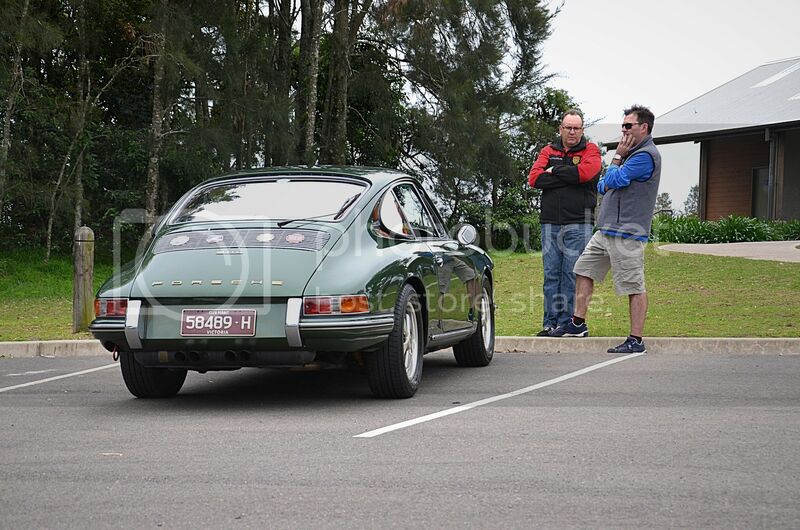 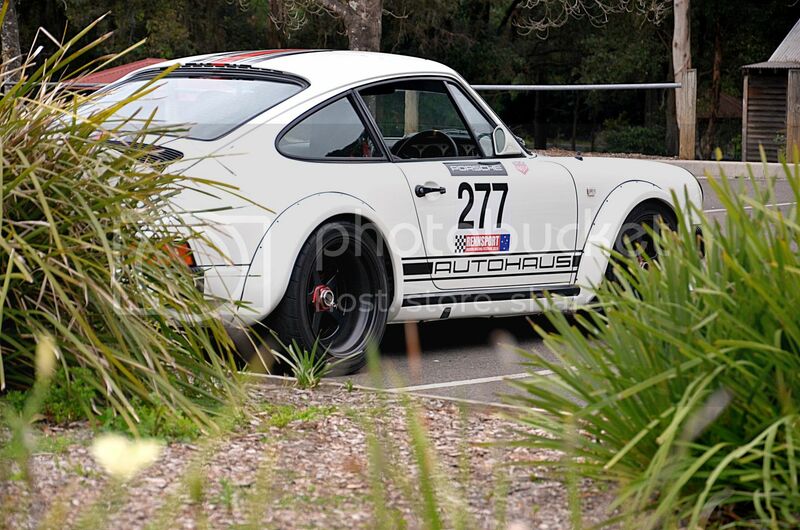 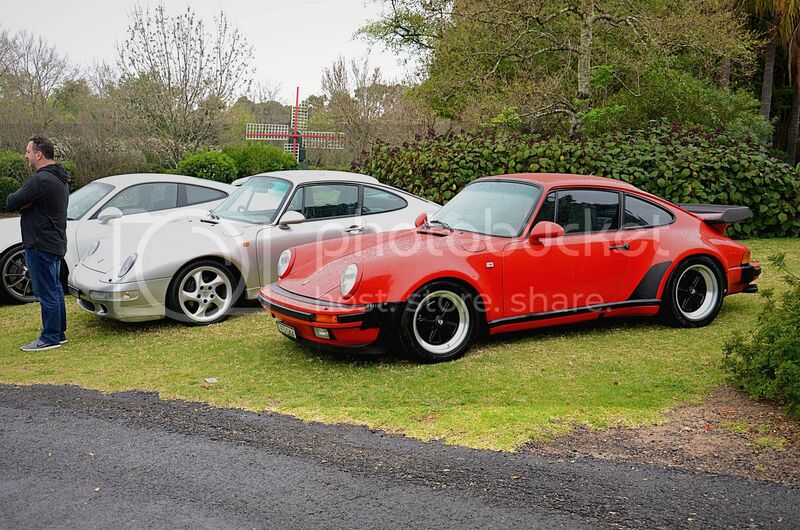 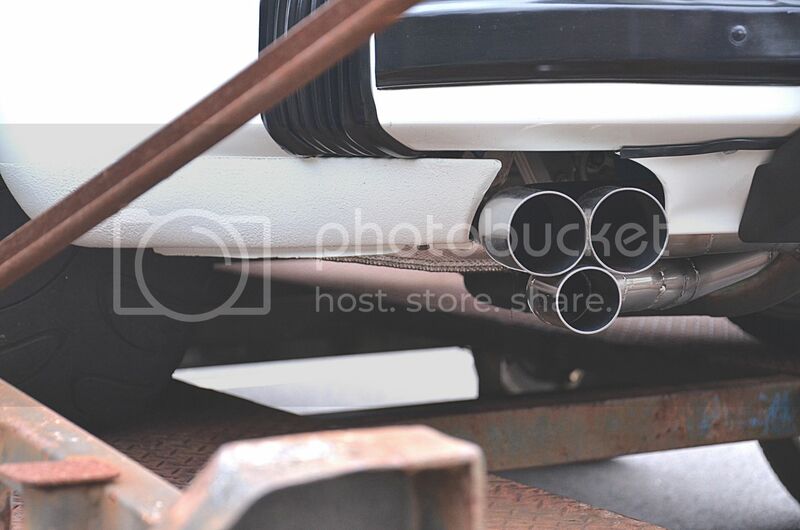 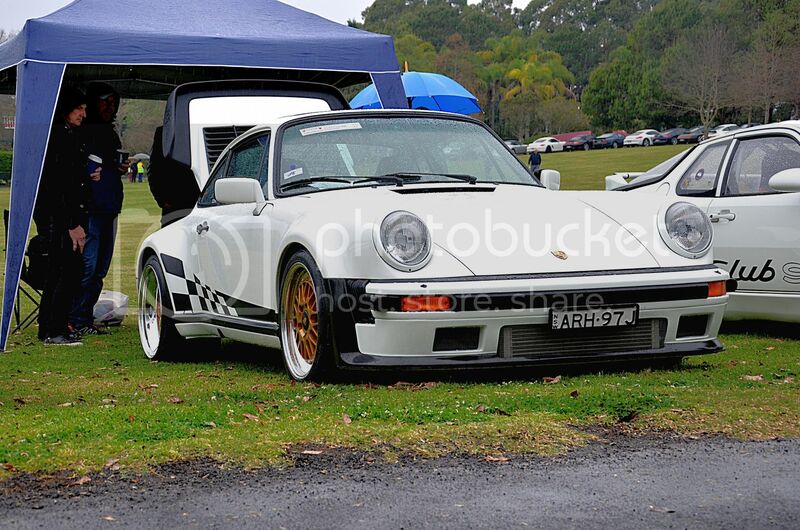 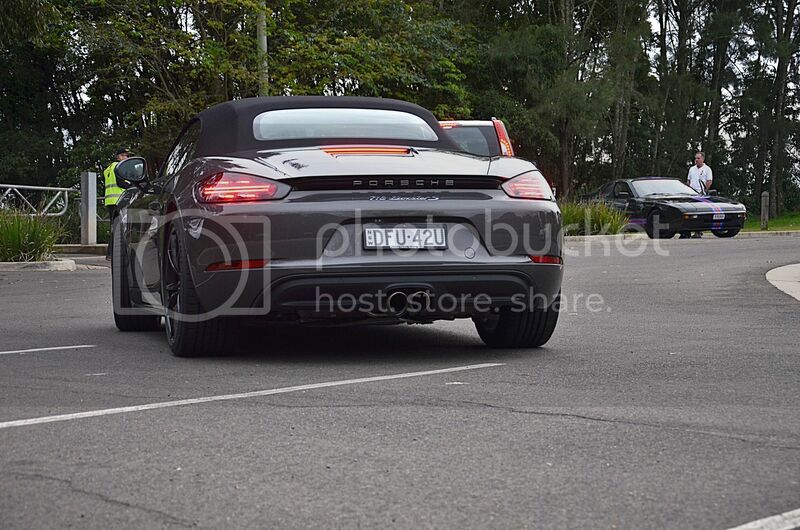 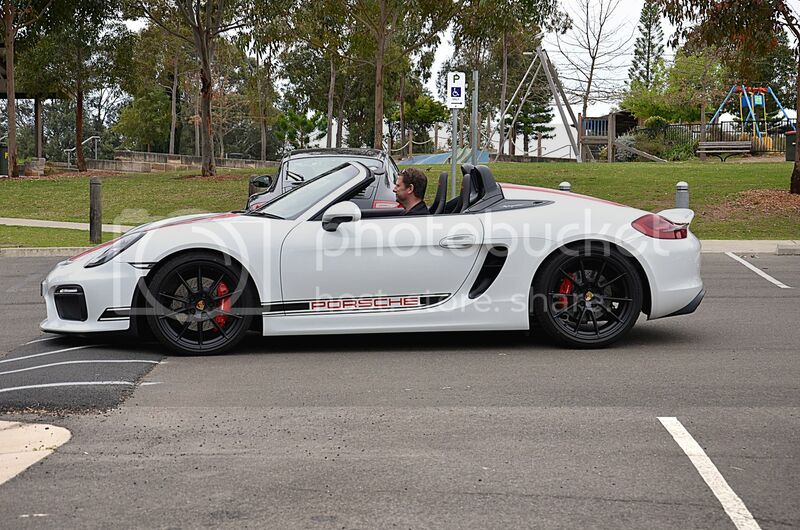 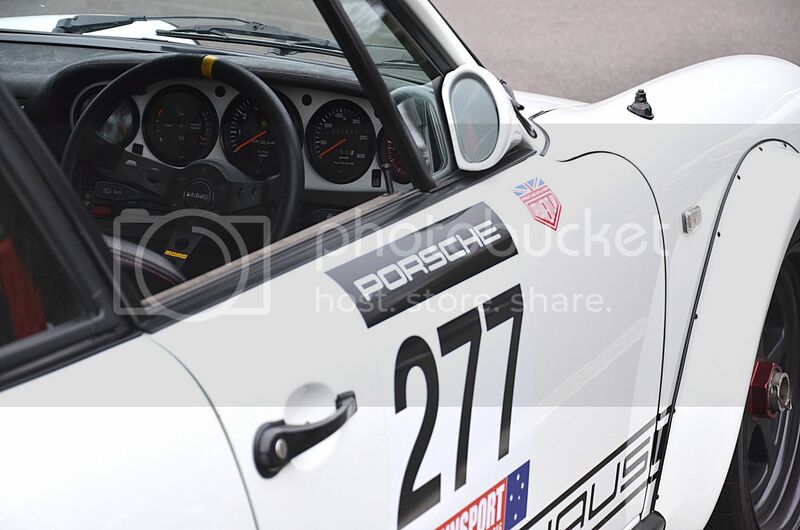 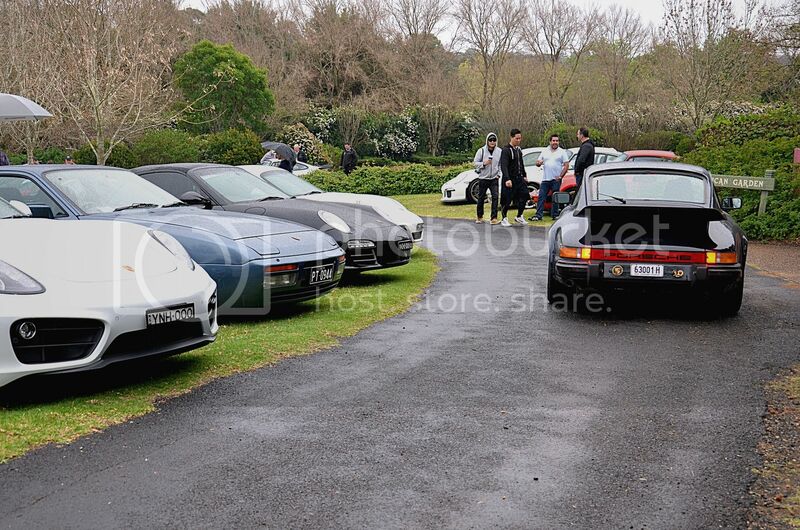 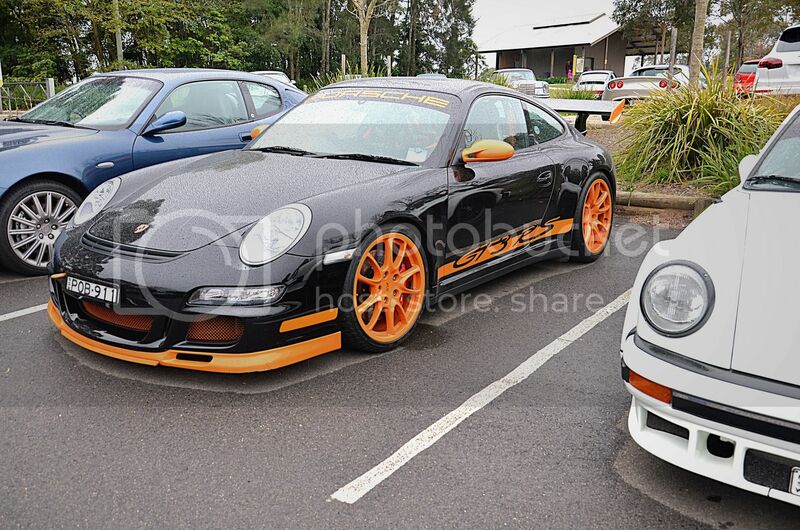 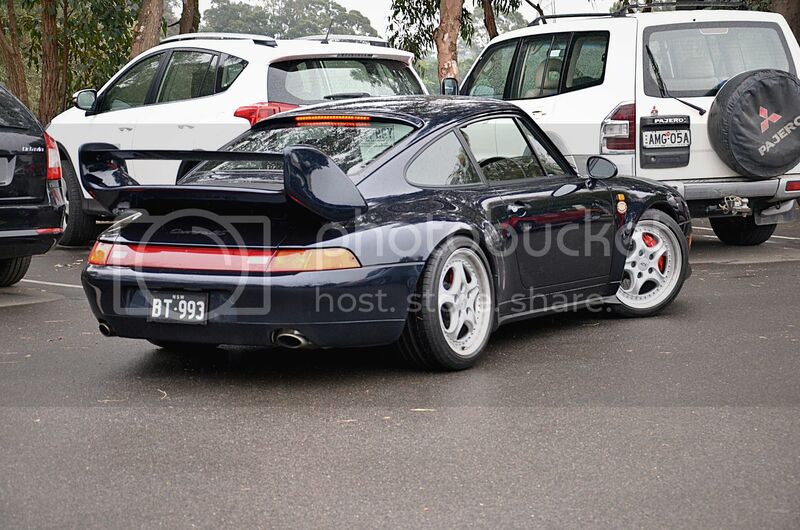 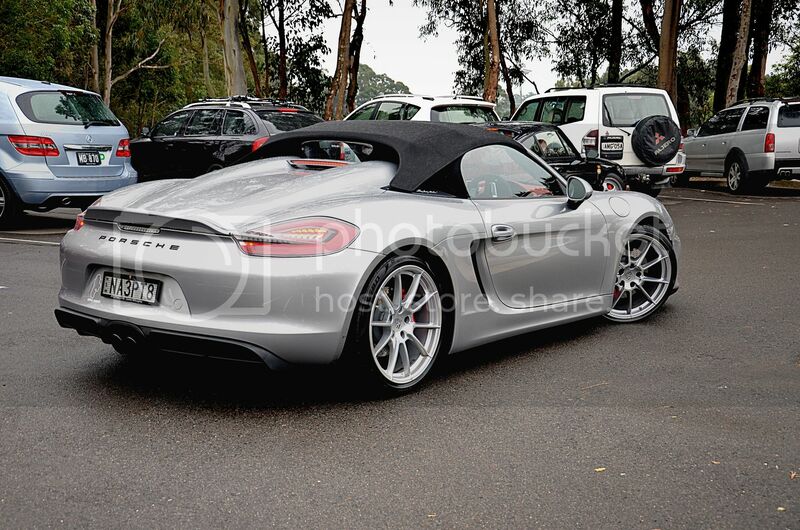 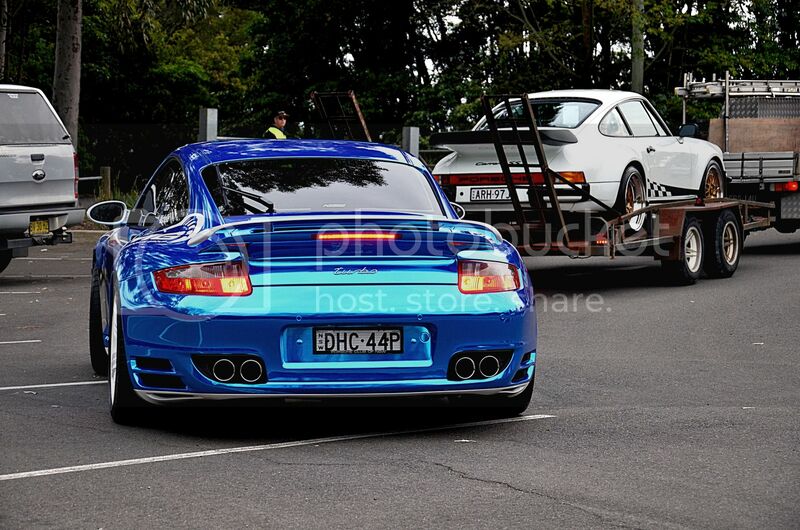 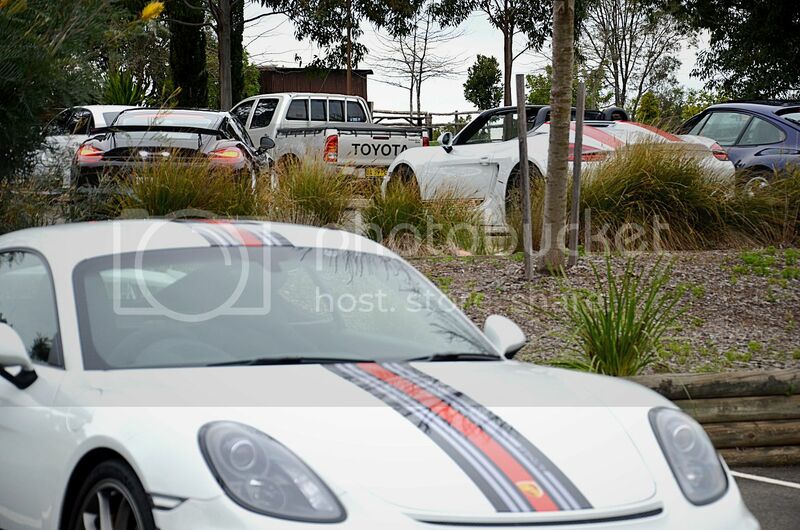 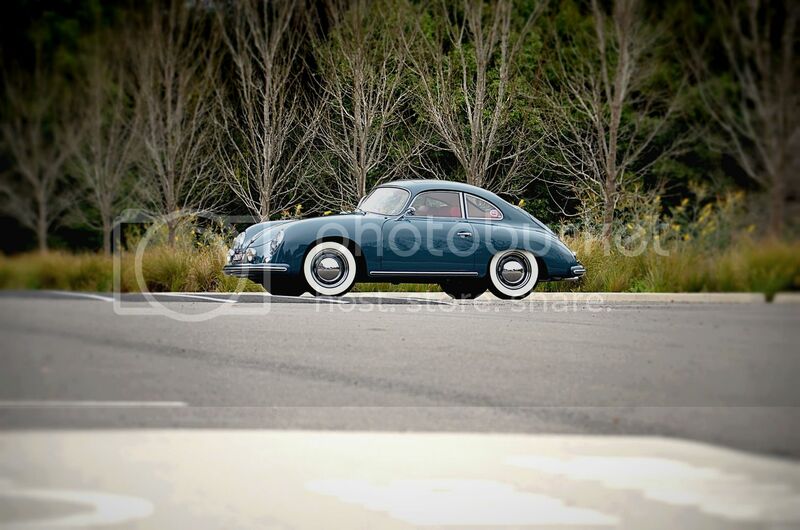 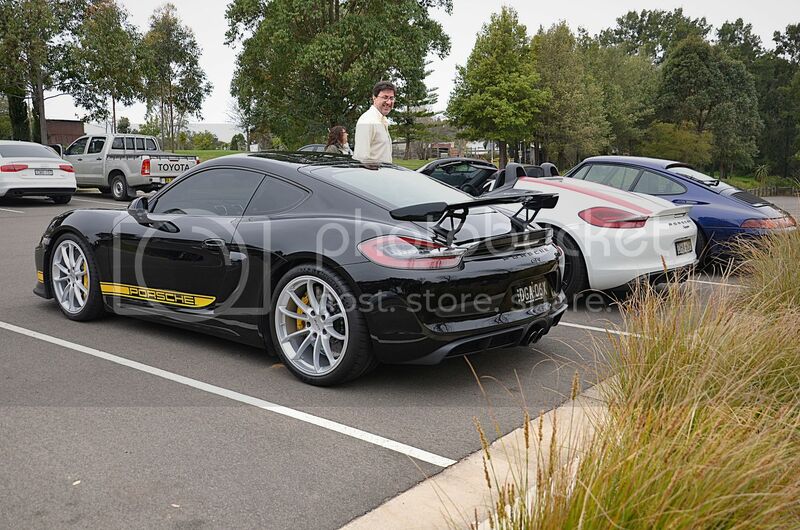 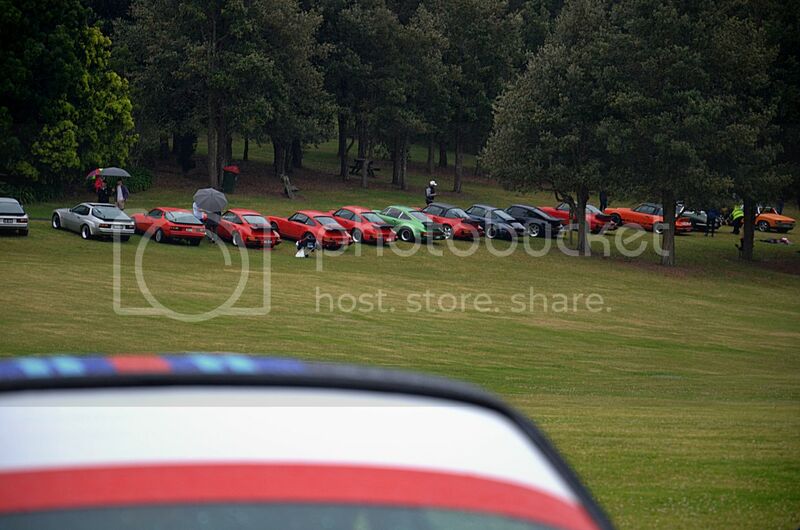 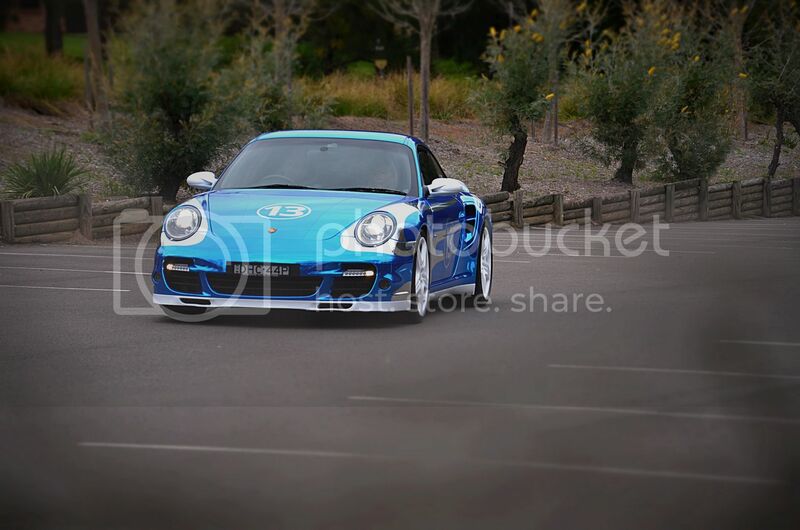 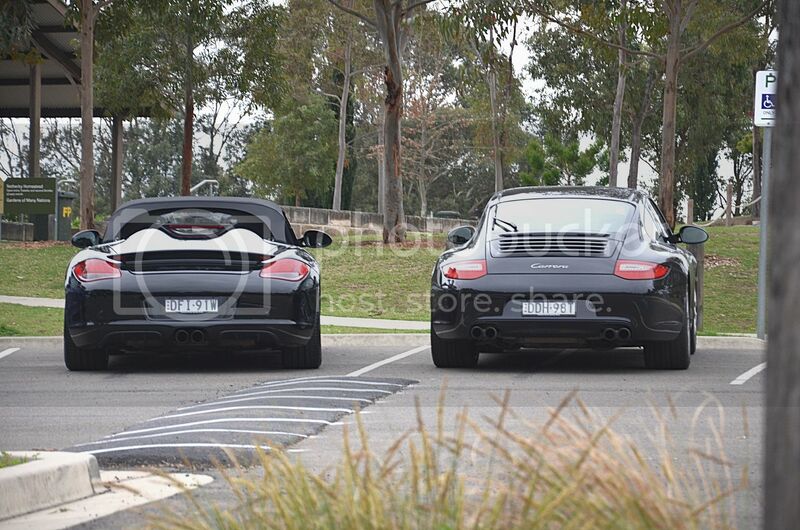 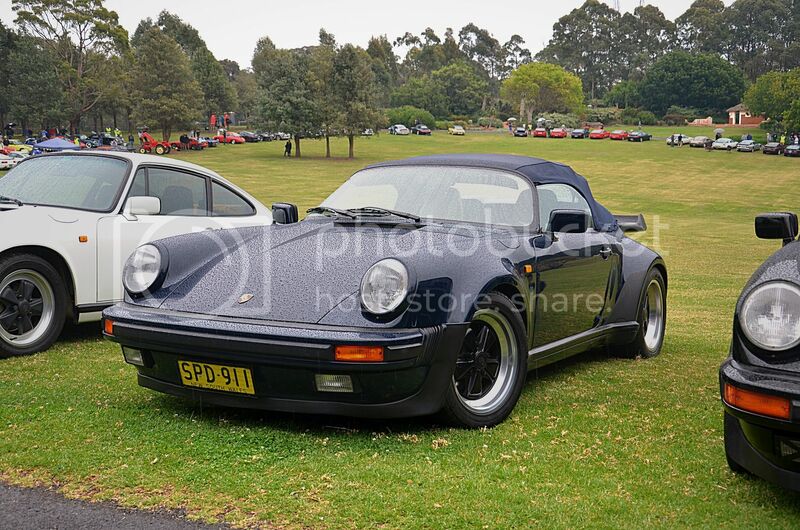 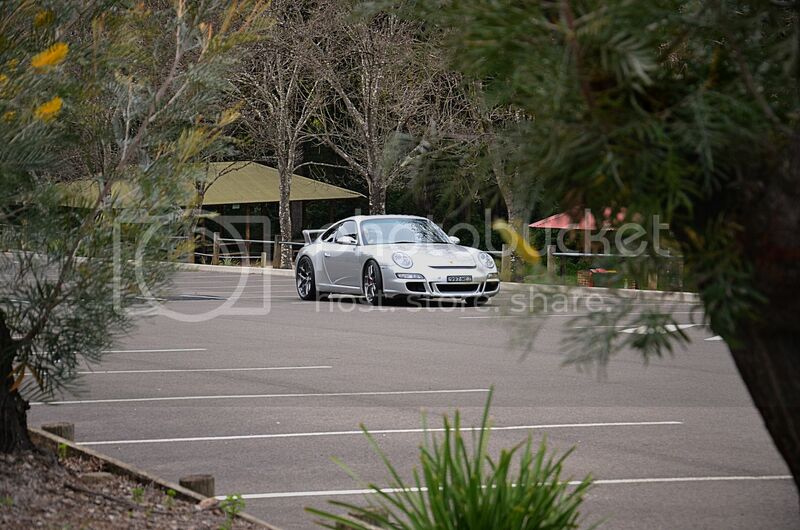 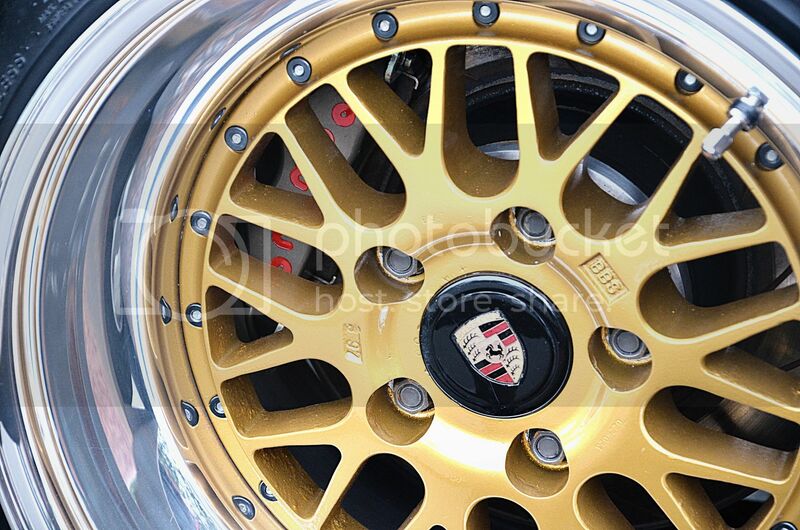 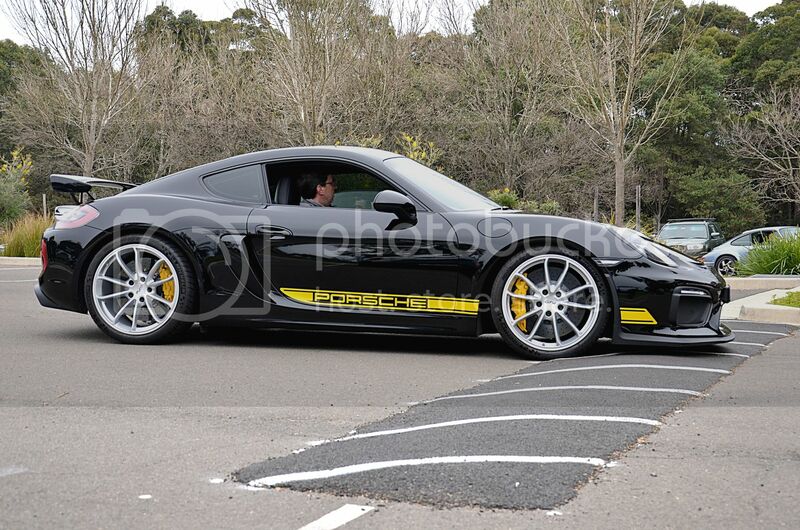 As the Porsche Club of NSW volunteers began to allow entrants in, we followed suit and began to snap photos off of customers and their pride and joys! 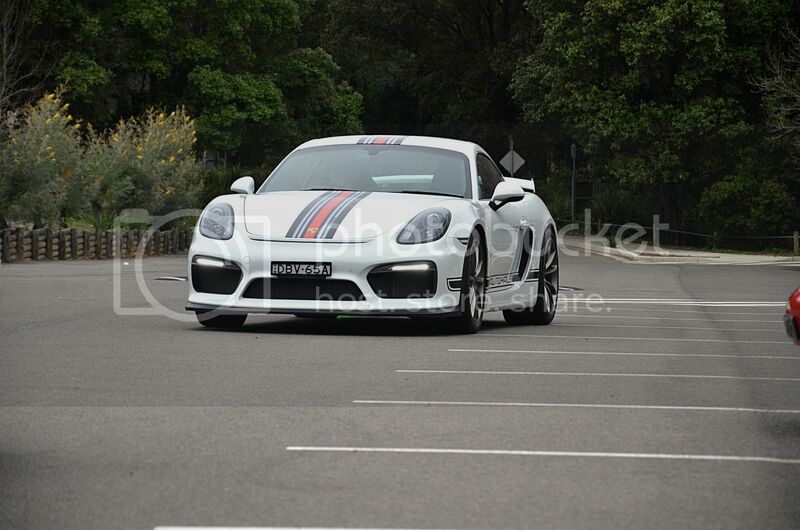 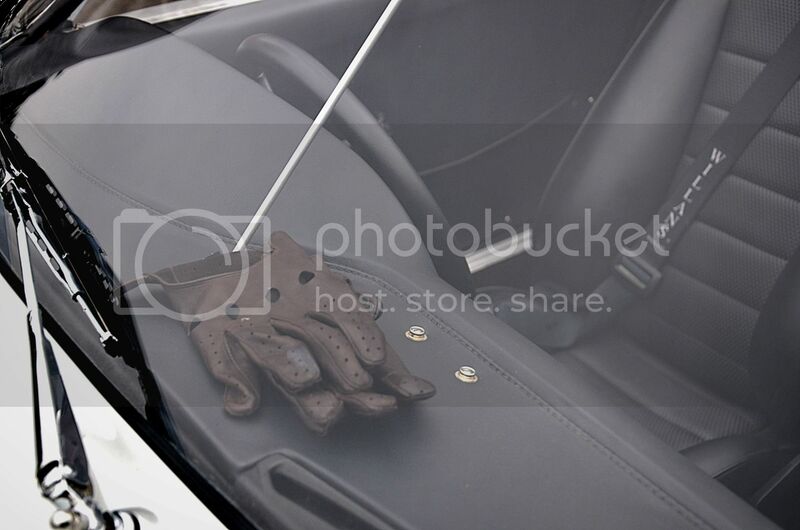 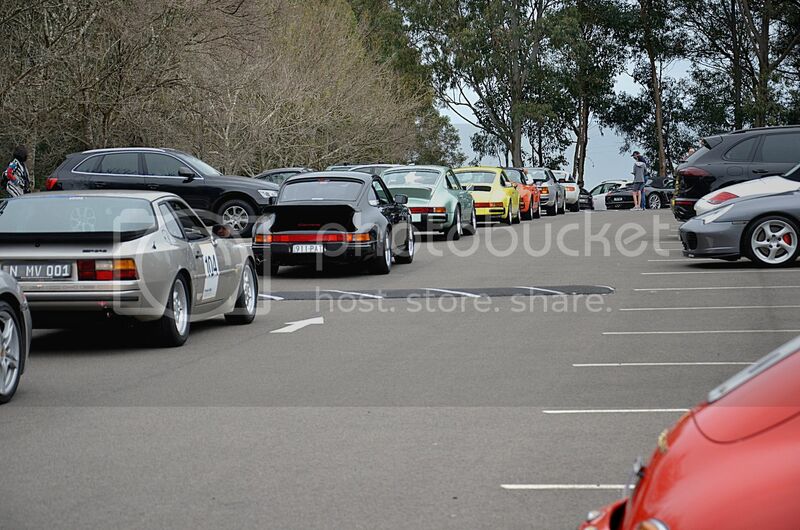 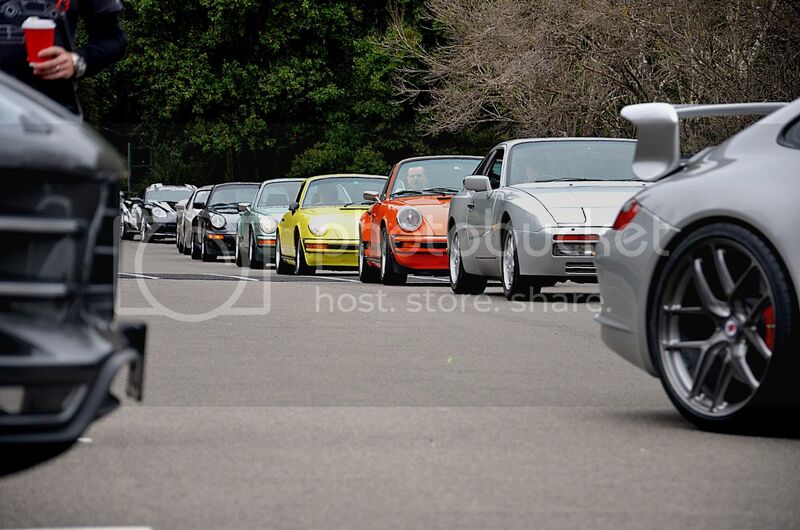 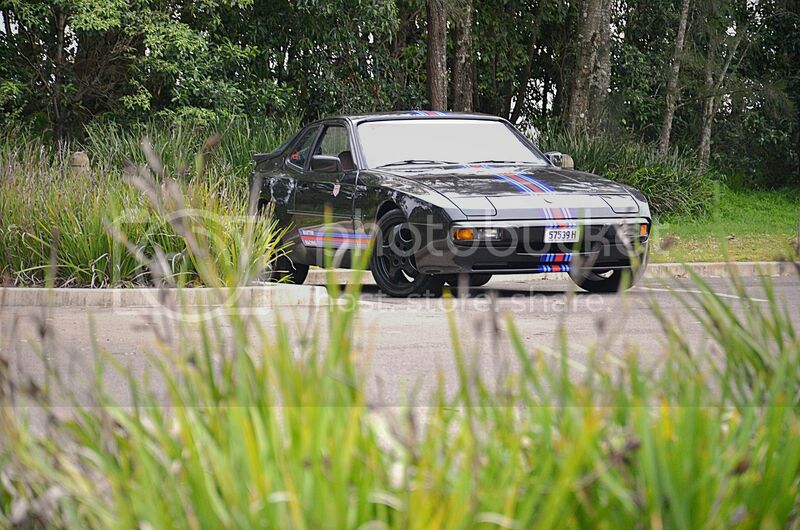 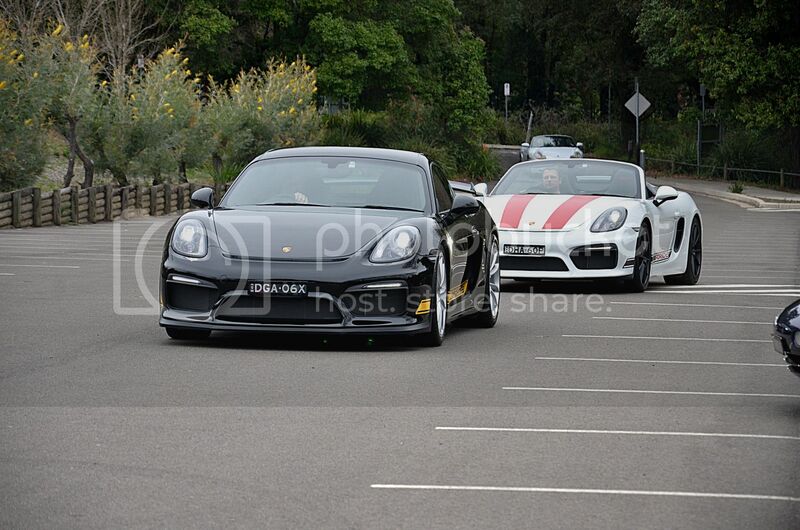 There was a small bank up in the car park, but all in the all the Porsches began to flow in with not much fuss at all. 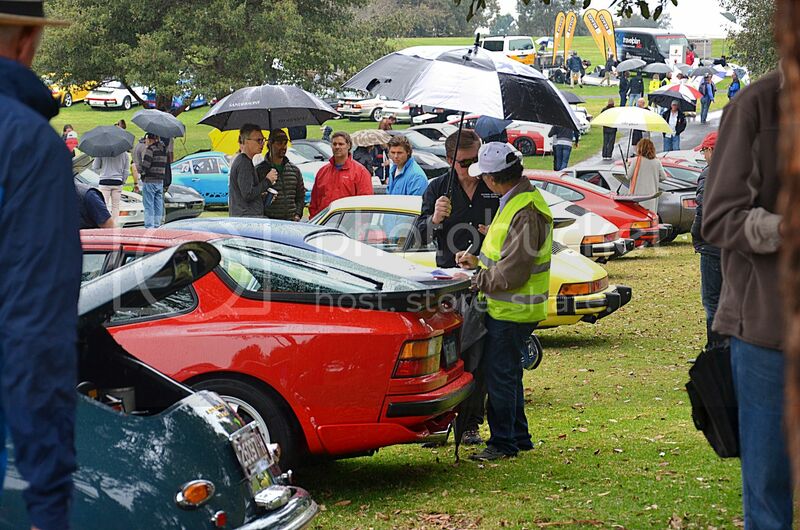 Best thing was, lucky for us this year we were only spectating, no judging or entries – blissful. 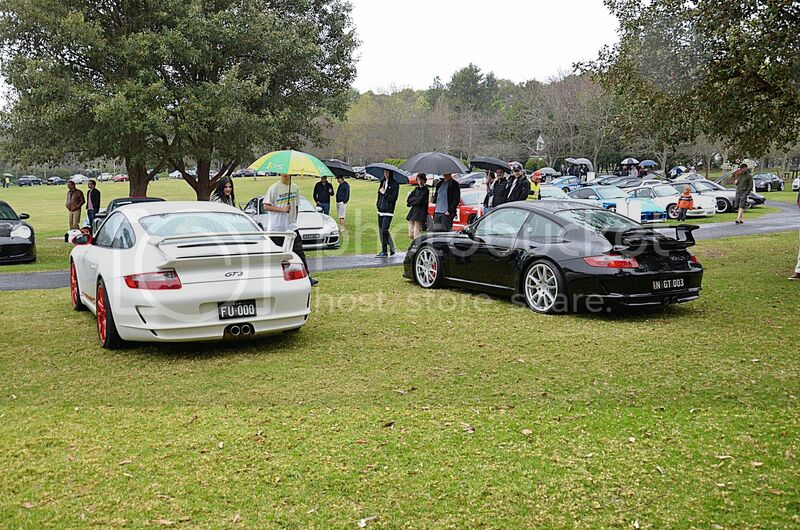 Fagan Park was a beautiful venue for the event, the park is designed around a beautiful walk way which allowed organisers to park the cars in a large circle, from early to late model. 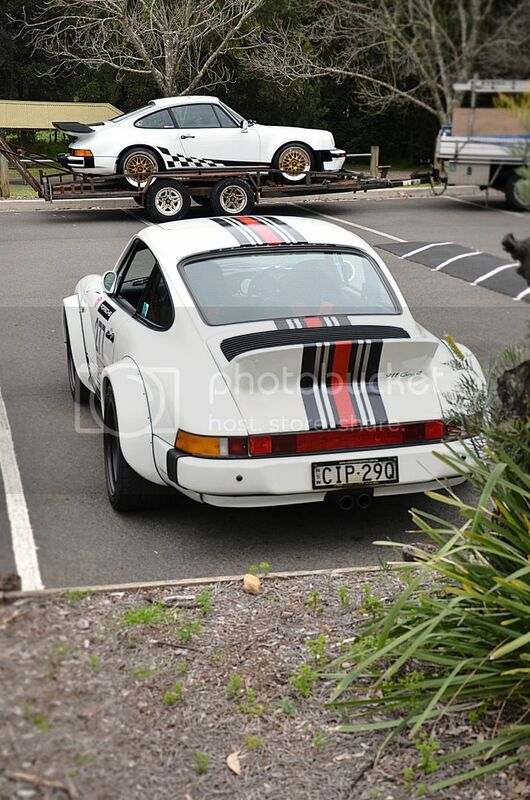 Moving around the venue was almost like walking through a time machine. 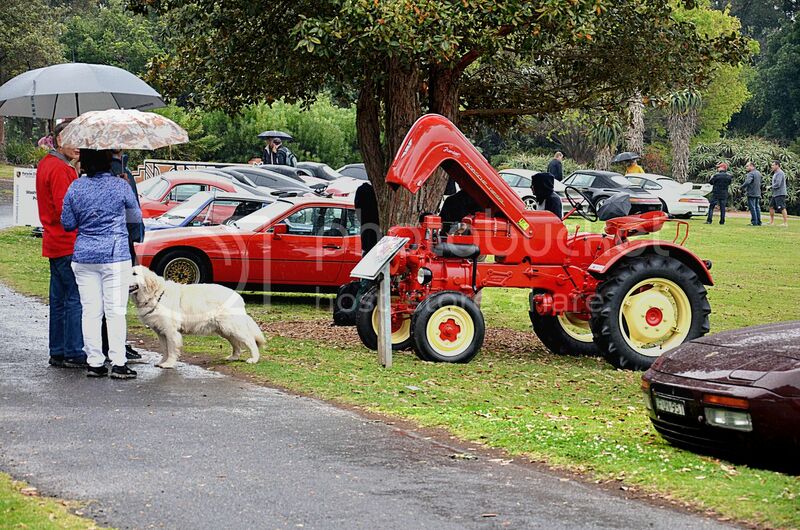 As the morning continued as did the rain, slowly getting heavier as the time passed. 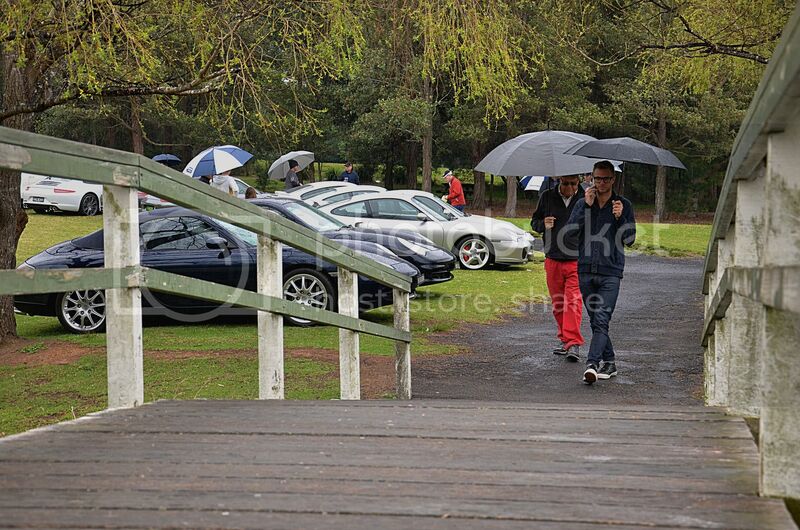 You wouldn’t have noticed with all the smiles on people’s faces, umbrellas littered through the cars and stands. 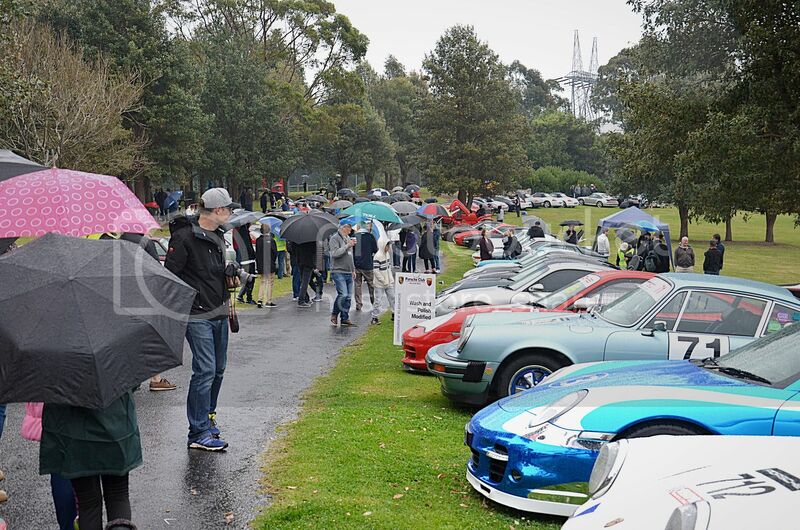 It was so nice seeing so many of our customers showing their pride and joy, helping the judges see the quality of their builds and resto-mods. 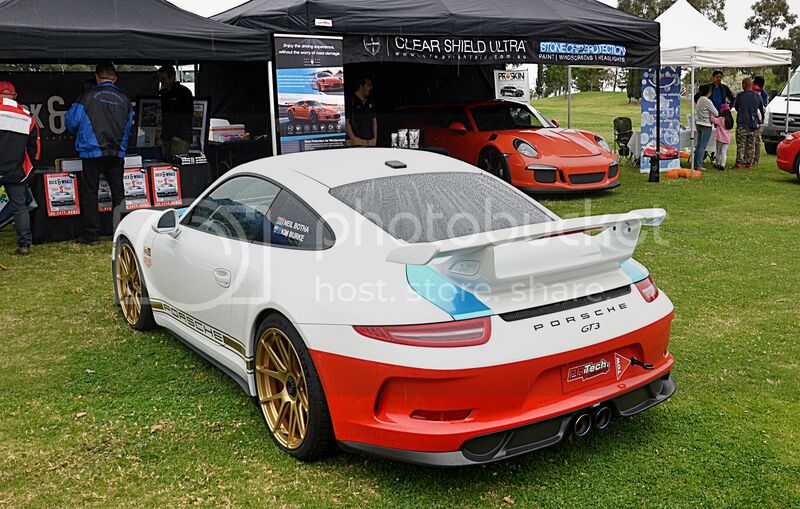 We’re yet to get final word on all the trophies taken home by our amazing customers, but it seems like we did manage to win something in MOST classes – you can’t ask for more than that! 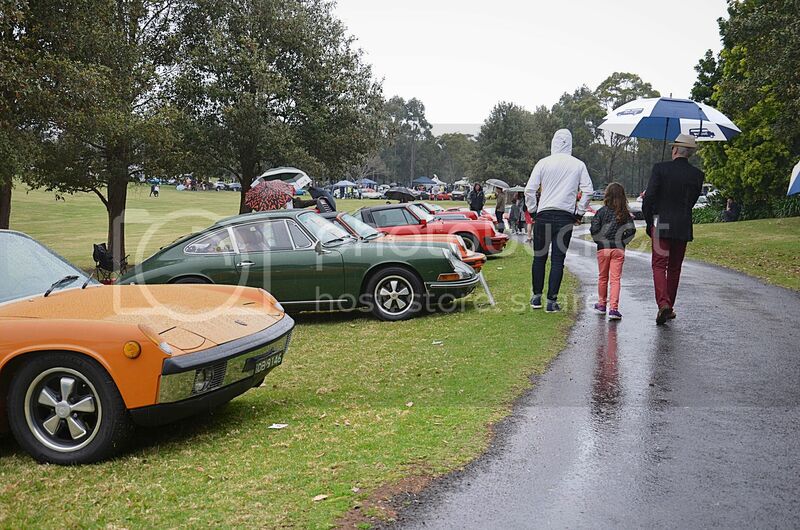 We hope you enjoy the photos from the day, and please also jump onto the PCNSW website and see their wonderful galleries from the day also (HERE).